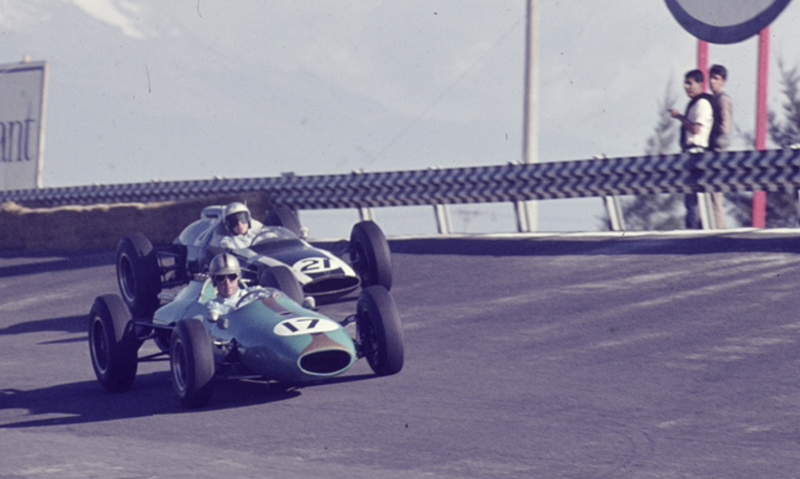 Brabham was joined at ‘Brabham Racing Organisation’ by Dan Gurney in 1963, the lanky Californian left Porsche at the end of their F1 program. 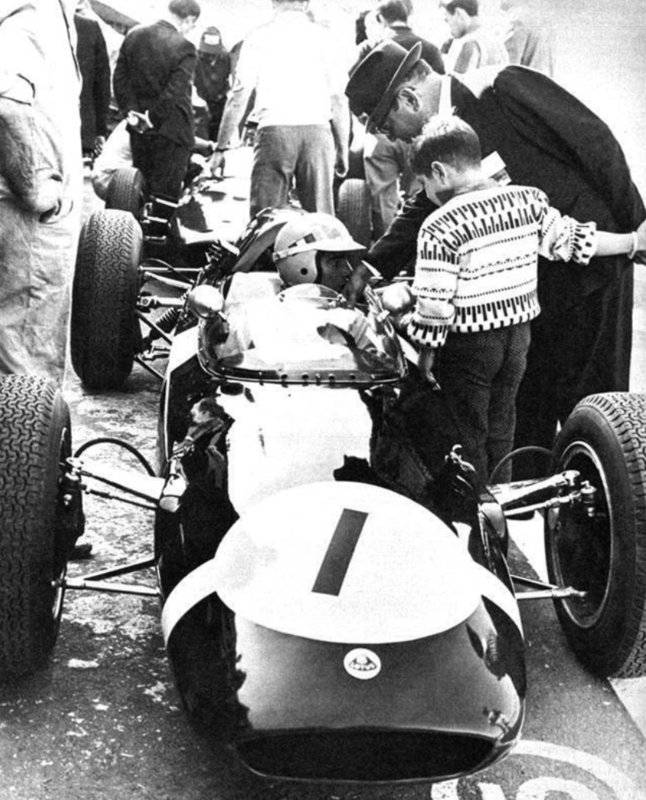 In 1962 BRO ran a car for Jack only in the teams first F1 season. 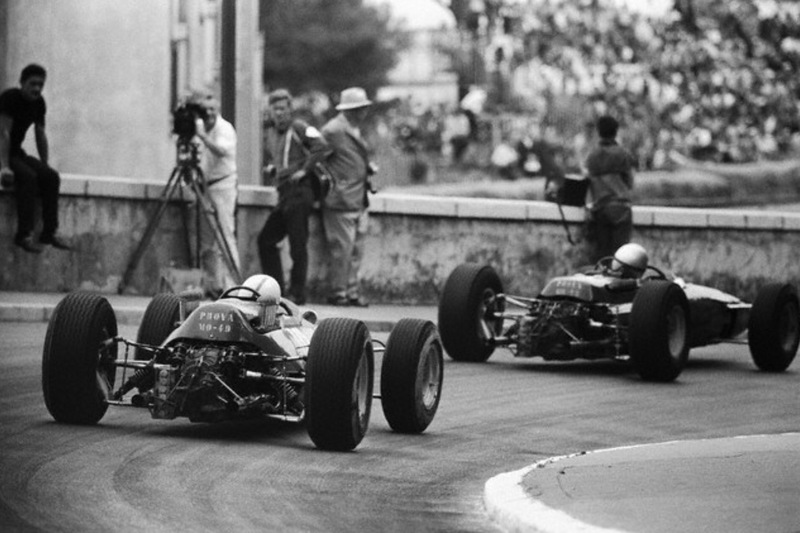 For 1963 both were driving the latest Brabham BT7’s powered by short stroke, fuel injected Coventry Climax V8’s. 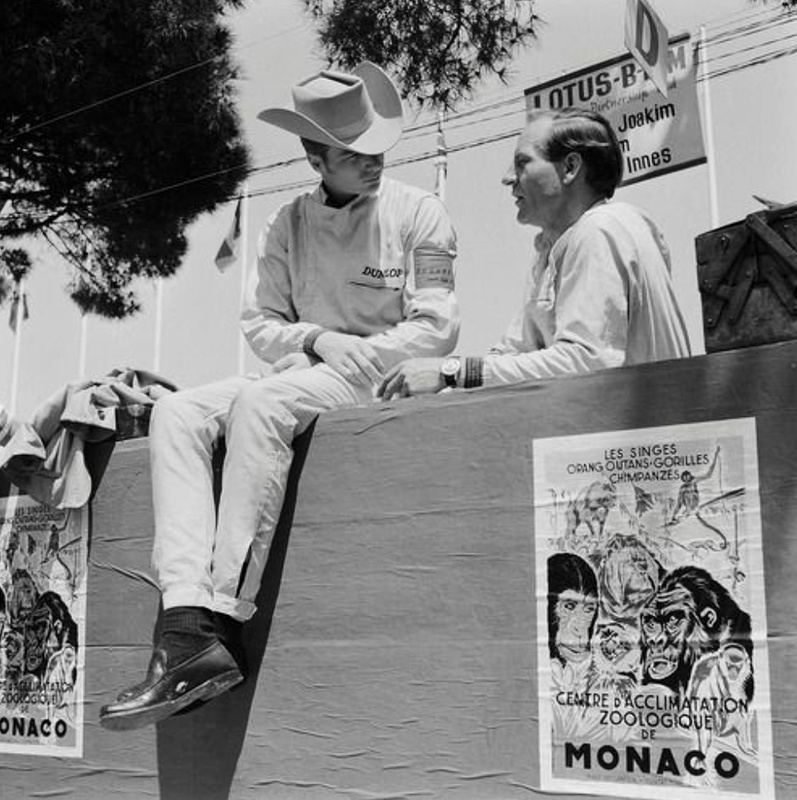 In first Monaco practice Jack’s Climax munched a valve, Jack flew the engine back to the UK in his Cessna to have it rebuilt it in time for Sundays race. 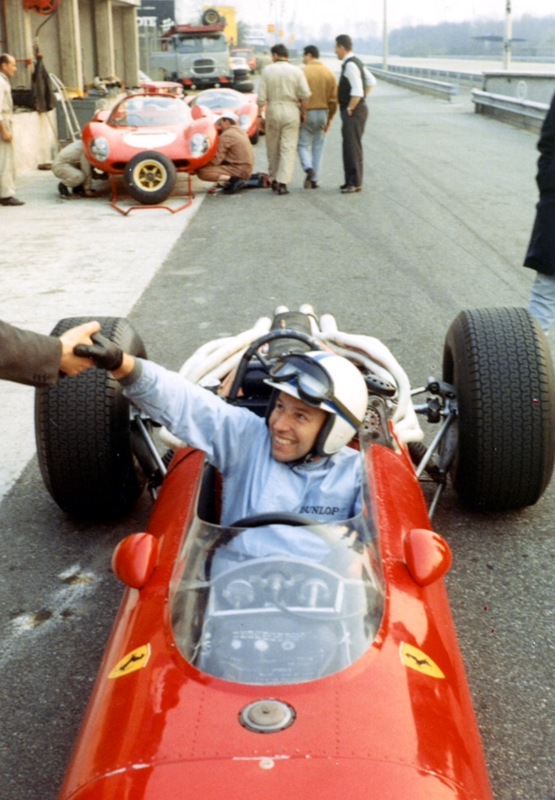 The F1 racer of 1963 was a DIY kinda guy, if his name was Brabham anyway! 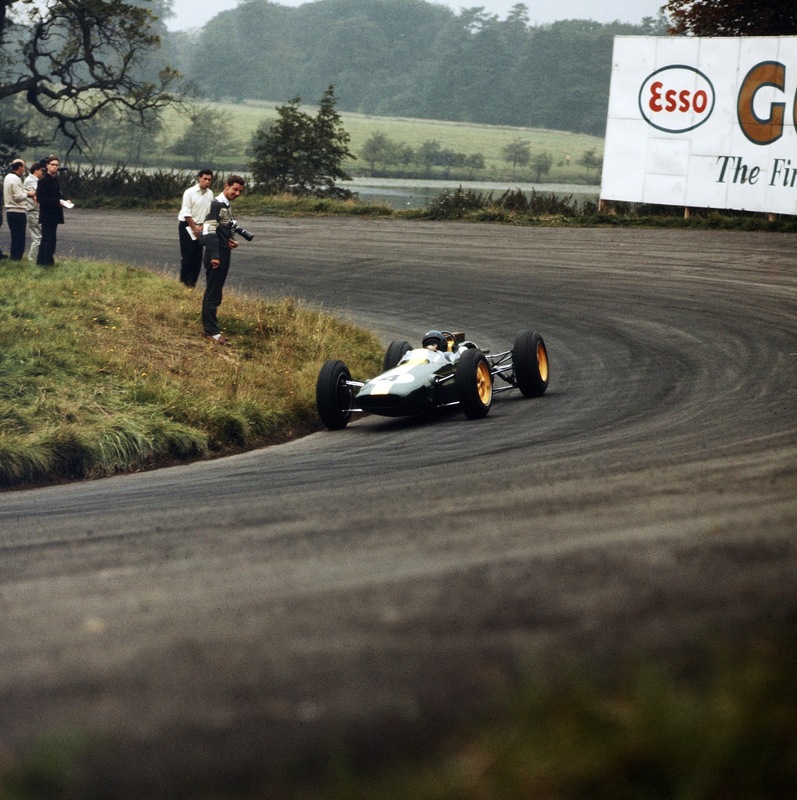 In final practice Gurney lost the head off a valve, as had Trintignants Lotus 24, Roy Billington gave Jack the sad news when The Guvnor returned with his rebuilt FWMV from Coventry. Brabham decided to start Gurney and withdraw from the race. 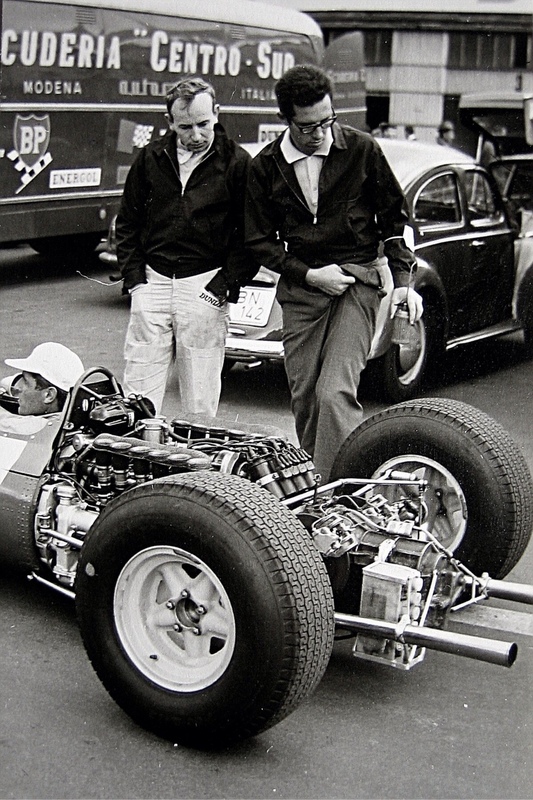 The following morning having heard of Jack’s predicament Colin Chapman sportingly offered Jack a drive in the Team Lotus spare, ‘R3’ fitted with last years Weber carb Coventry Climax V8. Clark did a 1:35:2 in this car ‘just for fun’ only 9/10 of a second slower than his pole time in his race chassis towards the end of qualifying. 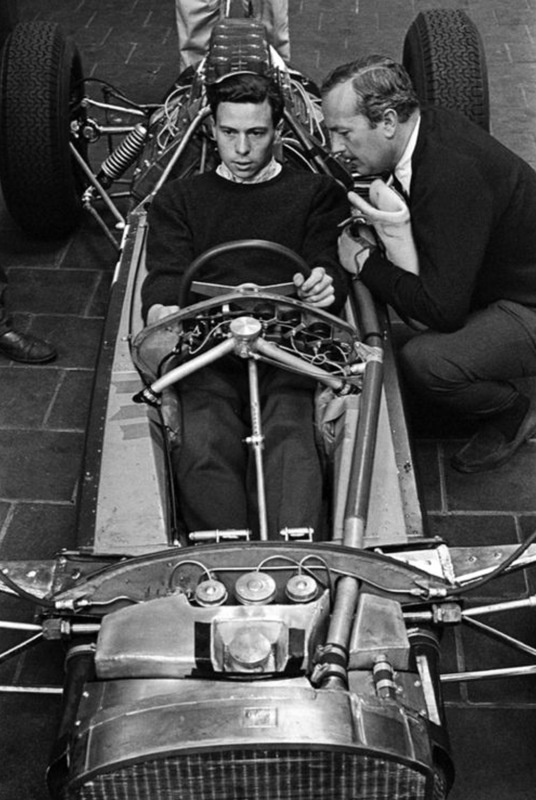 Chapman knew Jack was well familiar with the handling characteristics of the car as Jack acquired a Lotus 24 in early 1962, the spaceframe variant of the epochal, monocoque 25 whilst Ron Tauranac completed the build of Jacks 1962 and first GP contender, the Brabham BT3. 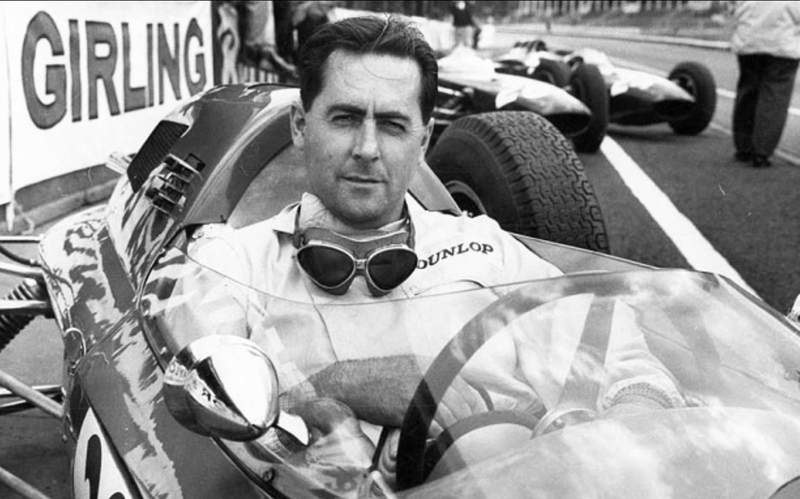 Jack Brabham and Ron Tauranac formed ‘MRD’ Motor Racing Developments Ltd to build racing cars in 1961, their first car, the FJ MRD was raced by Aussie Gavin Youl that year. 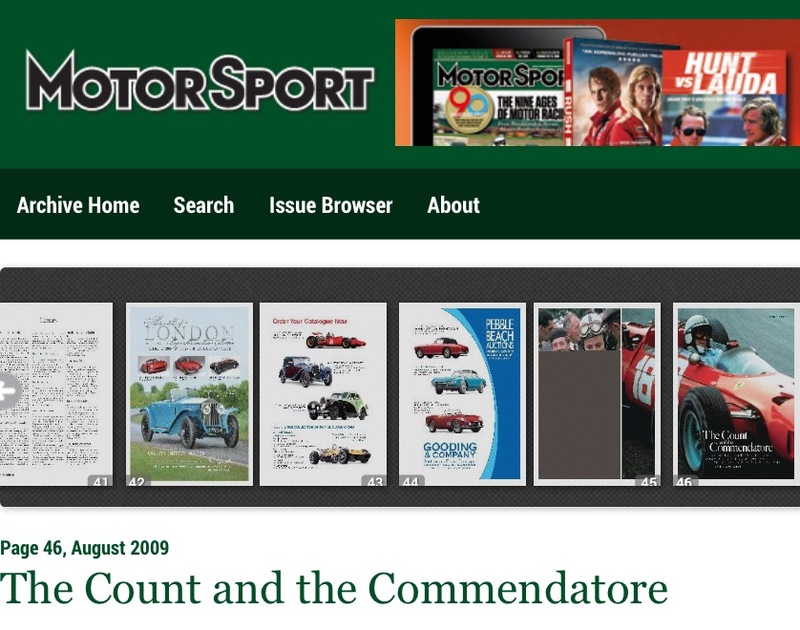 The main games were both production racing cars and F1, ‘Motor Racing Developments’ jointly owned by Brabham and Tauranac built the cars and ‘Brabham Racing Organisation’ owned by Jack (at that stage) ran the F1 program; prepared and entered the cars and contracted commercial agreements to fund the program. 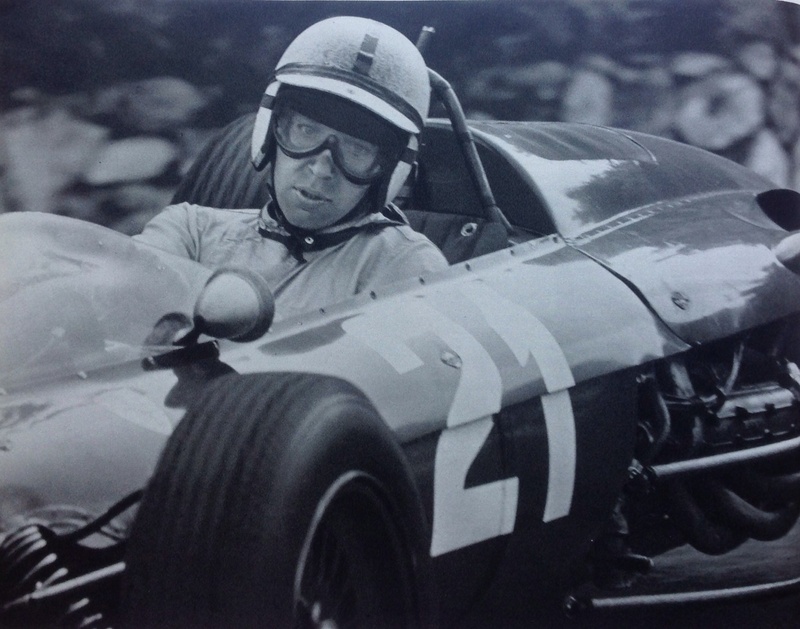 Jack raced in the International Series of races in the Australasian summer in early 1962 in a Cooper T55 under his own ‘Ecurie Vitesse’ banner. 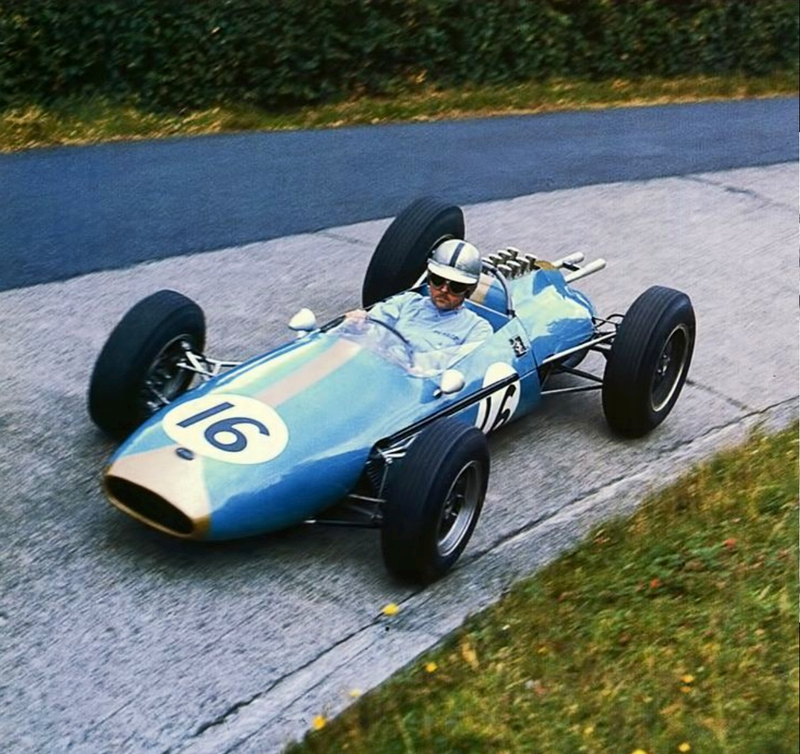 The car was his factory Cooper 1961 F1 chassis ‘F1-10-61’ the little 1.5 litre FPF used in GP events replaced by its big FPF brother, an ‘Indy’ 2.7 for the Antipodean F Libre races. 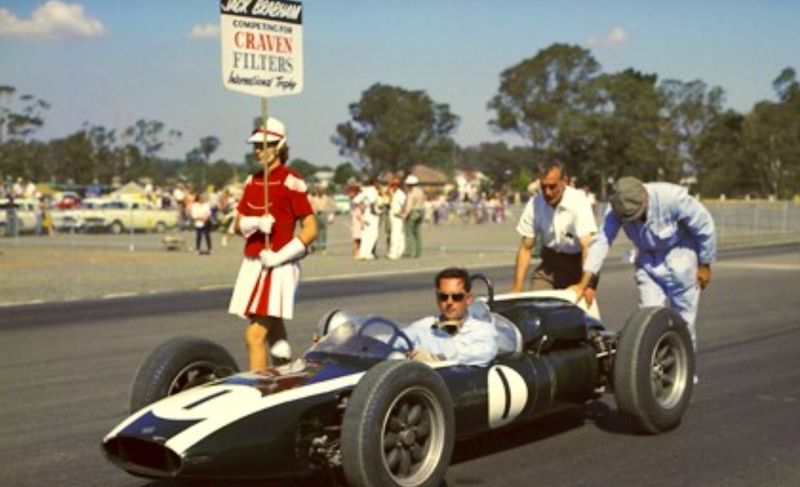 He won at Levin in NZ and Lakeside Queensland, i reckon his last Cooper win was his victory in the ‘Sandown Park International’ on 12 March 1962 from Surtees and McLaren both Cooper T53 mounted. 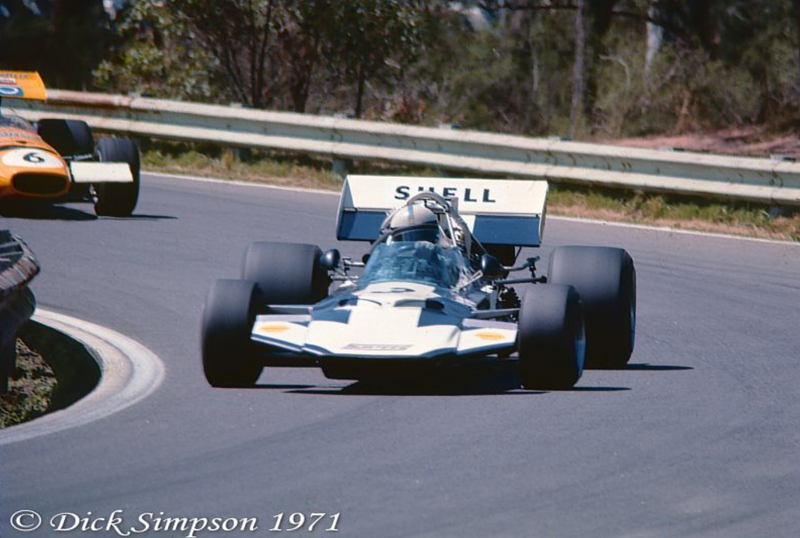 By the end of the year he was racing his own BT4, 2.7 FPF powered in the Australian Grand Prix at Caversham WA in November. 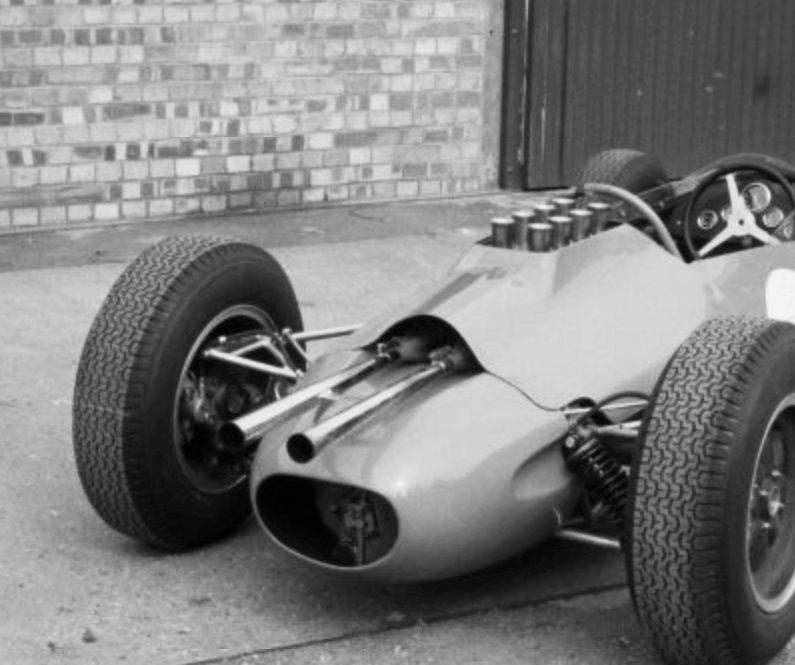 But first there was a season of Grand Prix racing to contest, BT3 wouldn’t be ready until mid year as the customer FJ program had priority; MRD built 11 BT2 FJ’s, BT3 and 3 BT4’s in 1962, not bad for a new concern! 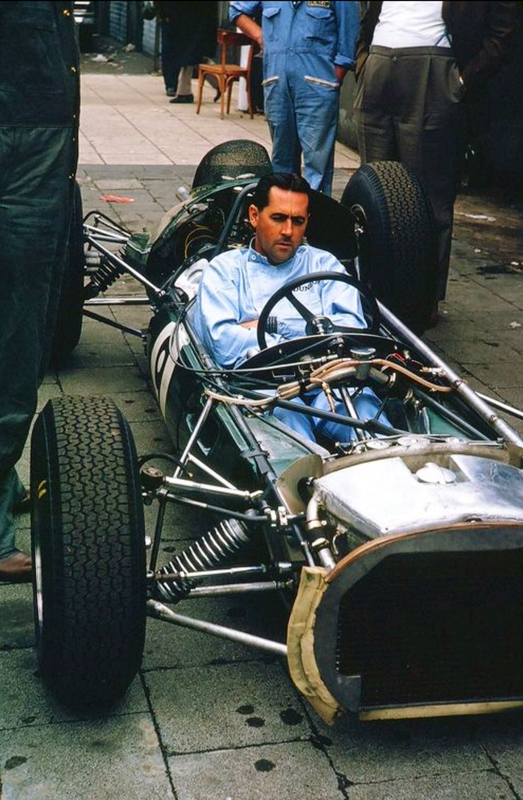 ‘Brabham Racing Organisation’ needed a car for Jack to race in both championship and non championship 1962 events in the interim. 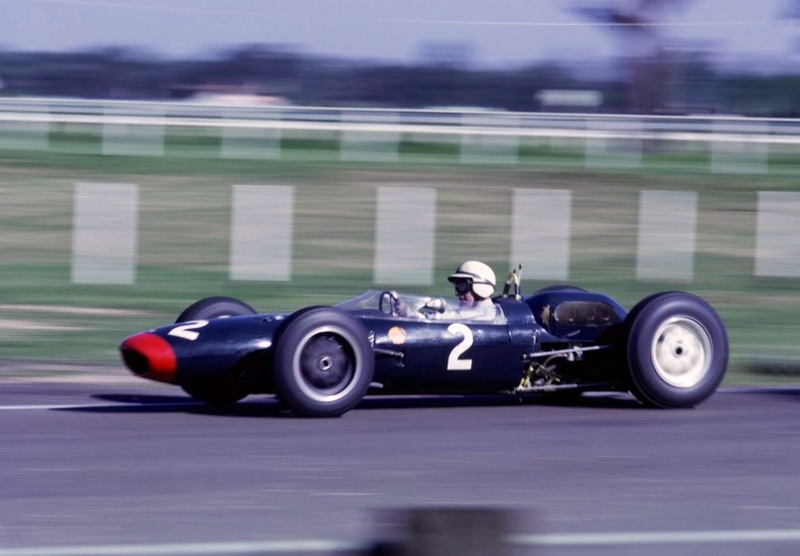 Colin Chapman was more than happy to oblige, selling Jack Lotus 21 chassis ‘936’ and 24 ‘947’ to enable the Aussie to chase the prizemoney and championship points on offer. 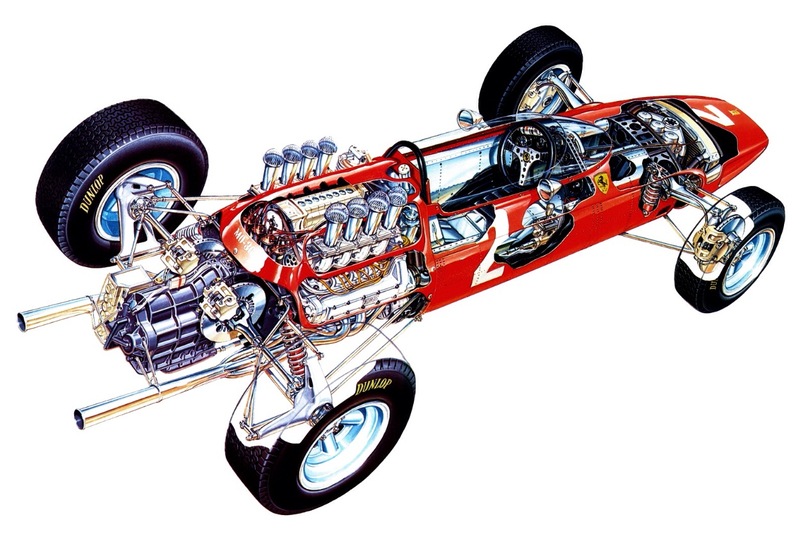 The 21 was the factory 1961 F1 design, a beautiful chassis only let down by the lack of a suitable, modern engine, the old 1.5 litre Coventry Climax FPF even in updated Mk2 form was too long in the tooth to keep up with the Ferrari Dino V6’s in 1961. 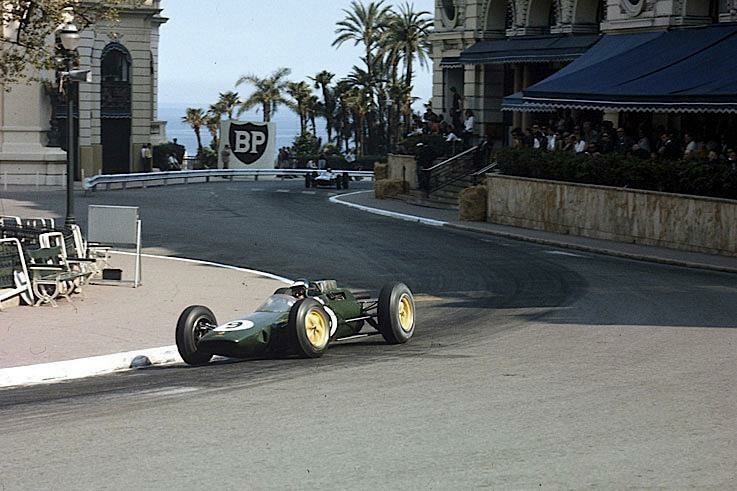 Mind you, the brilliance of Moss in Rob Walker’s Lotus 18 took two wins at Monaco and the Nurburgring and Innes Ireland one in his factory 21 at the season ending Watkins Glen round. 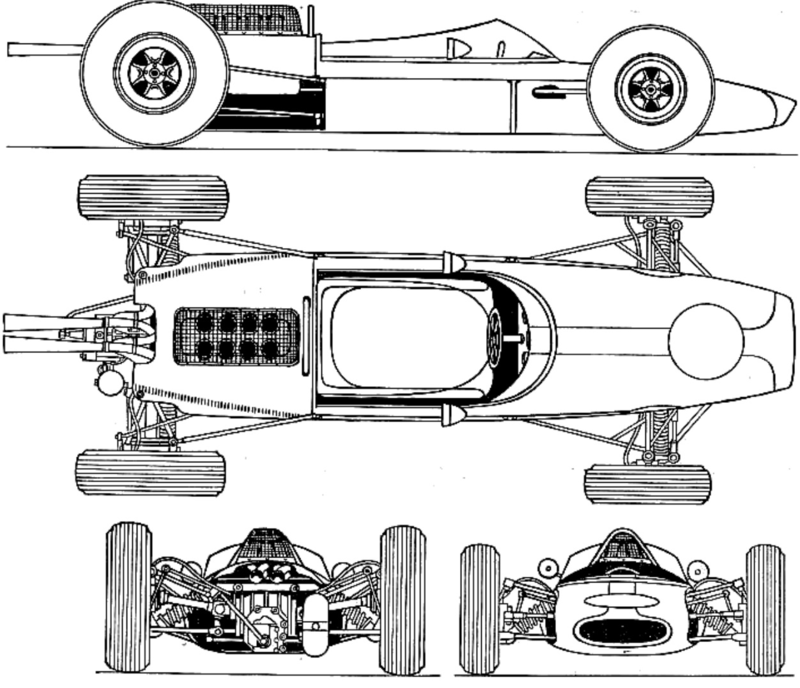 Chapman updated the Lotus 21 design into the 24 for 1962, adapting the chassis to take the new 1.5 litre V8 Coventry Climax FWMV engine and the suspension of his ‘experimental’ masterstroke, the Lotus 25, the first modern, monocoque single seater from which all such racing cars right through to the present owe their parental lineage. 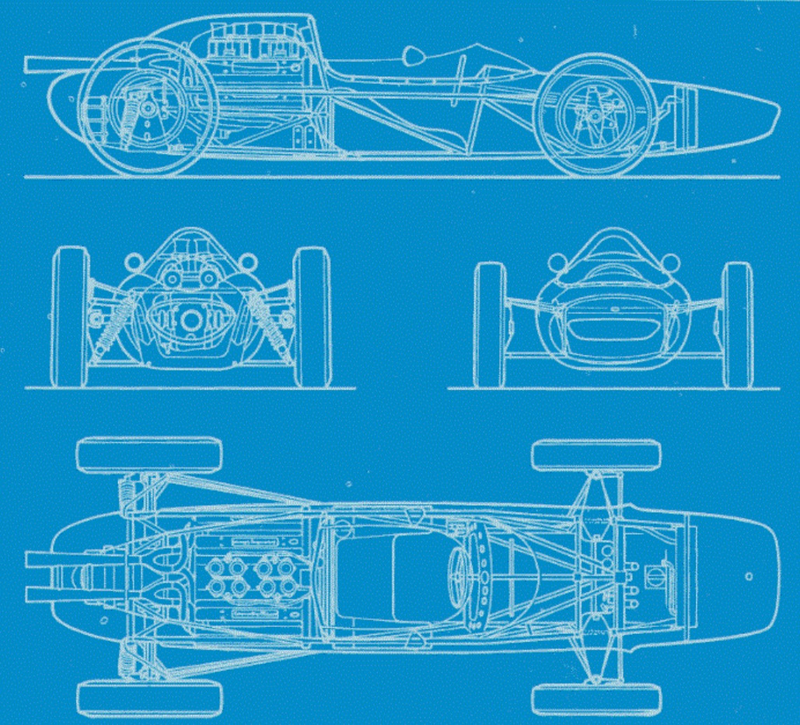 As is well known, the conceptual inspiration for the Lotus 25 was Chapman’s Elan road car and it’s backbone chassis; why not widen the ‘backbone’ to accommodate the driver, pop the fuel into the structure so created either side of him and get enhanced torsional rigidity for less weight, the primary objectives of the exercise? 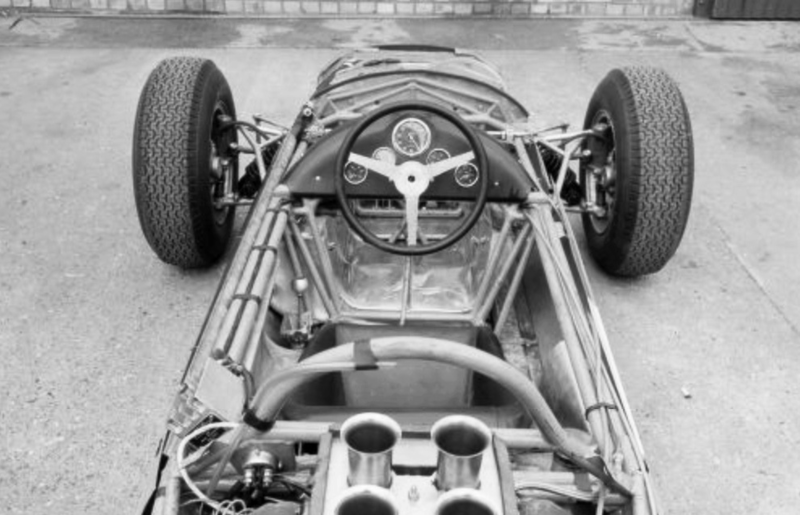 The 1961 Lotus 21 chassis frames torsional stiffness was only 700lb/ft per degree of deflection, the 24 frame was 10 pounds lighter bare weight (before brackets and aluminium fuel tanks) and had similar rigidity to the 21. 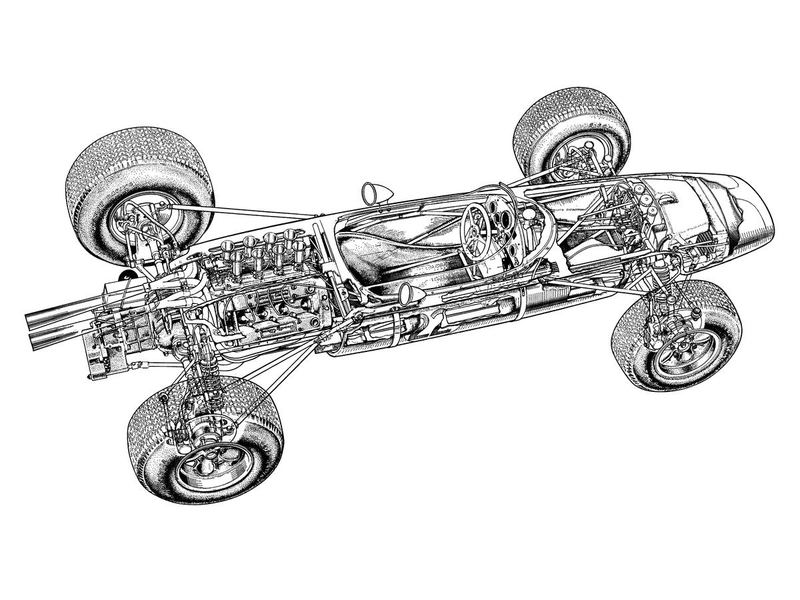 The 25 weighed in at 65 pounds bare, ‘yet offered 1000 lb/ft per degree rigidity rising to what was at that time a staggering 2400 lb/ft per degree when the new Coventry Climax V8 was installed in its rear bay’ said Nye. Chapman justified the new type 24 customer design as against offering them the 25 saying ‘just in case the monocoque idea didn’t work out’. Many customers had ordered 24’s unsuspecting the works was going to be running something quite different and superior. 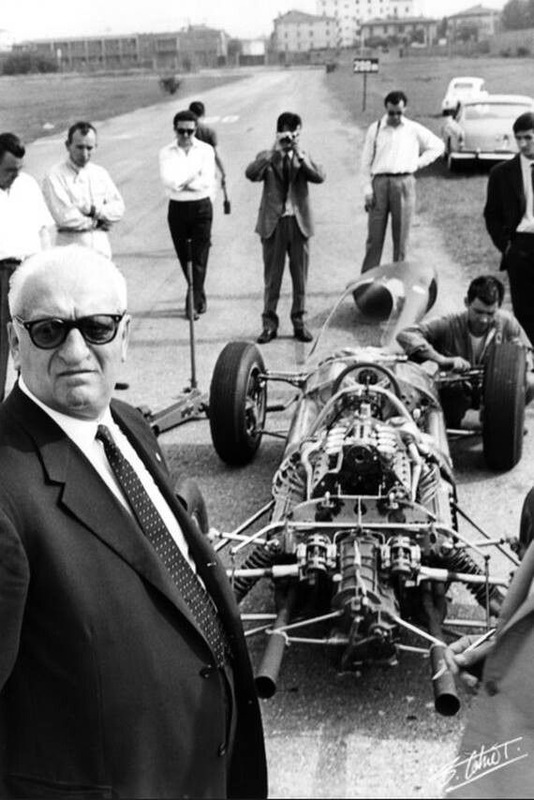 From Chapman’s perspective it was simple; he could build and sell plenty of 24’s then, off the back of the speed of the 21 in 1961, the 25 was unproven and it would take months to fulfil the orders even if he could talk his customers into embracing what was a new concept. Better to ‘take the bird in hand’, Lotus Components could build the 24’s quickly allowing Chapman to focus on the new 25 and deal with the flack later! 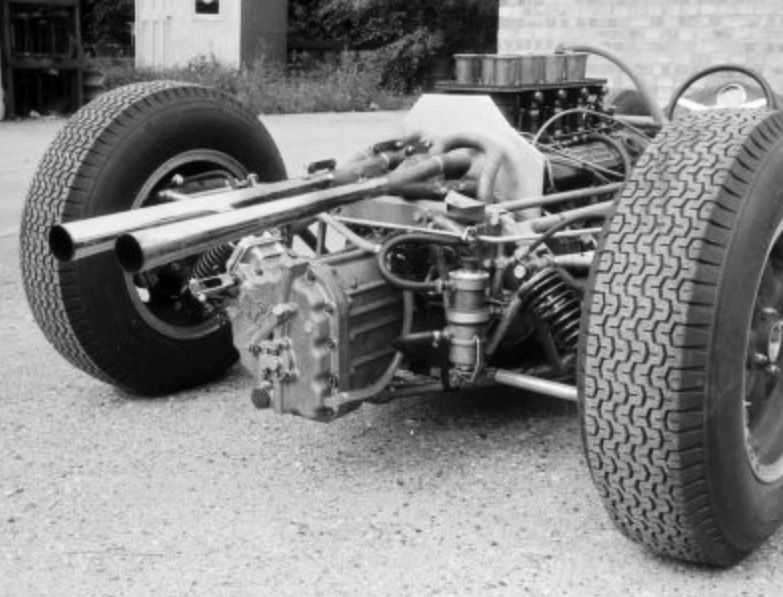 Lotus 24 customers in 1962 included UDT Laystall 4 chassis, Rob Walker 2 chassis, Wolfgang Seidel, Team Lotus themselves and Brabham. It’s interesting to reflect on Jack’s thoughts when the 25 was announced but he probably had more than a sneaking admiration for Chapmans ‘guile’, Jack and Chapman both ‘wheeler-dealers’ par excellence, one needed to get up pretty early in the day to get the better of them; if anyone ever did! In any event, Jack was a racer, he needed to work with what he had knowing the BT3 was coming along later in the season and in any event the 25 might not work. Jack’s 21 ‘936’ was first tested at Goodwood ‘I found one needed a shoehorn to fit into it-Colin Chapman seemed to build cars for midgets. But its ride was softer than any Cooper, its steering lighter and its handling good’ said Jack. Only a few days later the car was destroyed in a workshop fire at the Repco facility in Surbiton where Tim Wall was preparing the car. Whilst fitting the battery a spanner shorted against one of the fuel tanks, making a small hole which then gushed burning fuel! Brabham and Wall ran out of fire extinguishers trying to control the fire and the fire brigade were unable to save the uninsured 21. Chapman lent Jack the parts to build up another car which was ‘flung together’ in time for the Pau GP on 23 April. Jack qualified well in 4th but the car ran its bearings on lap 4. 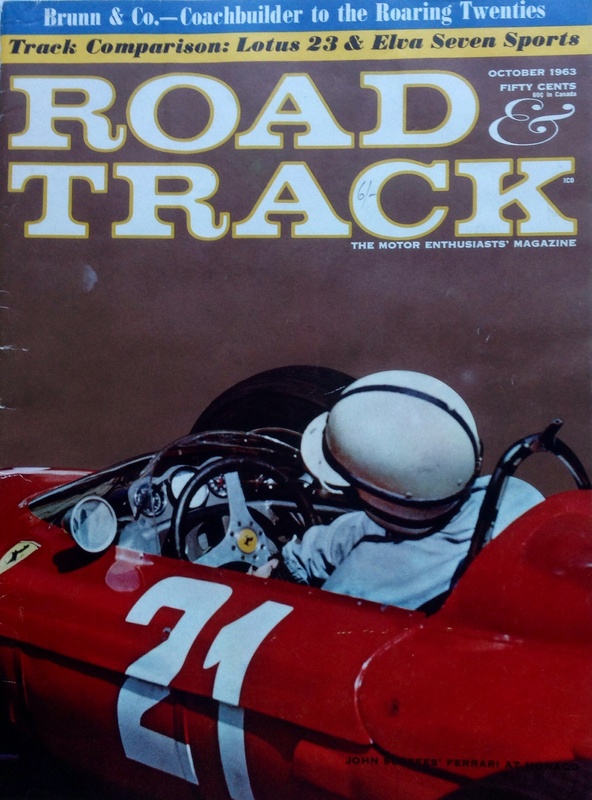 The team rushed to make the ‘Aintree 200’, the following weekend but they missed practice, the car stripped its gears in the race which was won by Clark’s Lotus 24. Chapman and Clark let Jack drive the 24 for the first time in practice ‘Again i found it as tight as a sardine can’ quipped Brabham. Tight but fast! By early May Jack’s 24 was ready, Roy Billington and Jacks team worked feverishly on the car to finish it at Lotus in Cheshunt in time for the ‘BRDC International Trophy’ at Silverstone on May 12. 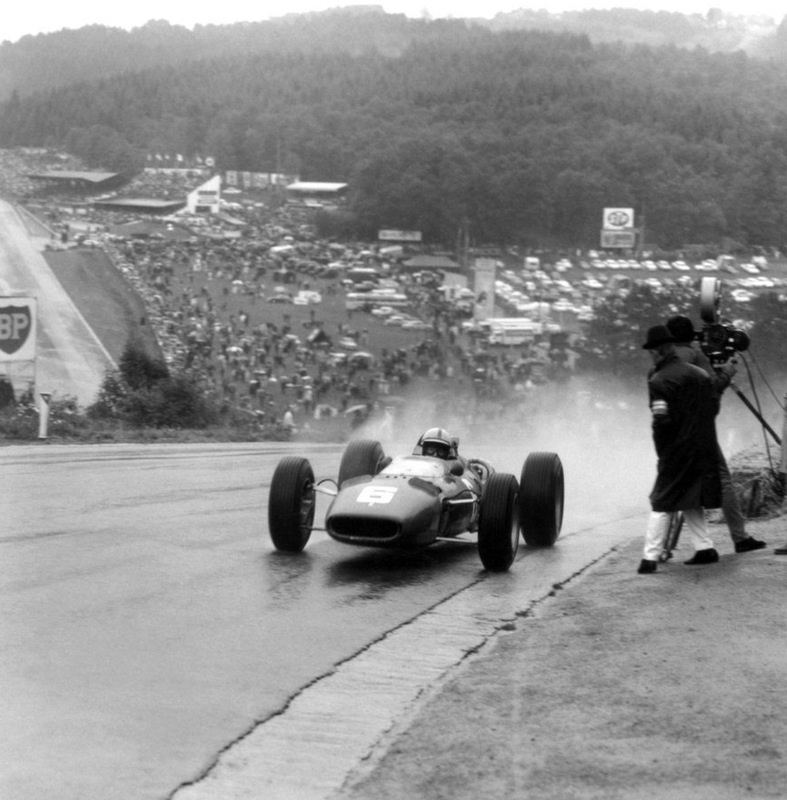 He was 13th on the grid and finished 6th, the race won by Hill’s BRM P578. It was a good result, final chassis set-up was done by guesswork/the eye and the tacho drive failed. 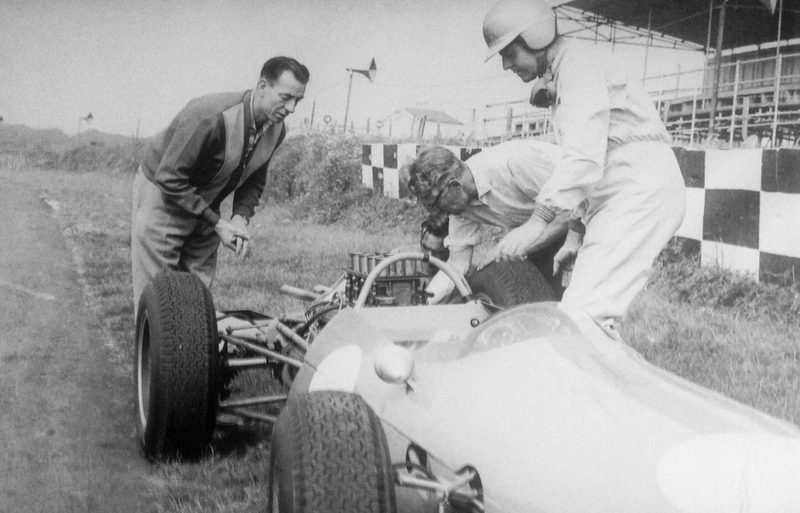 On 20 May the Lotus 25 made its race debut in Jim Clark’s hands at Zandvoort, Holland. 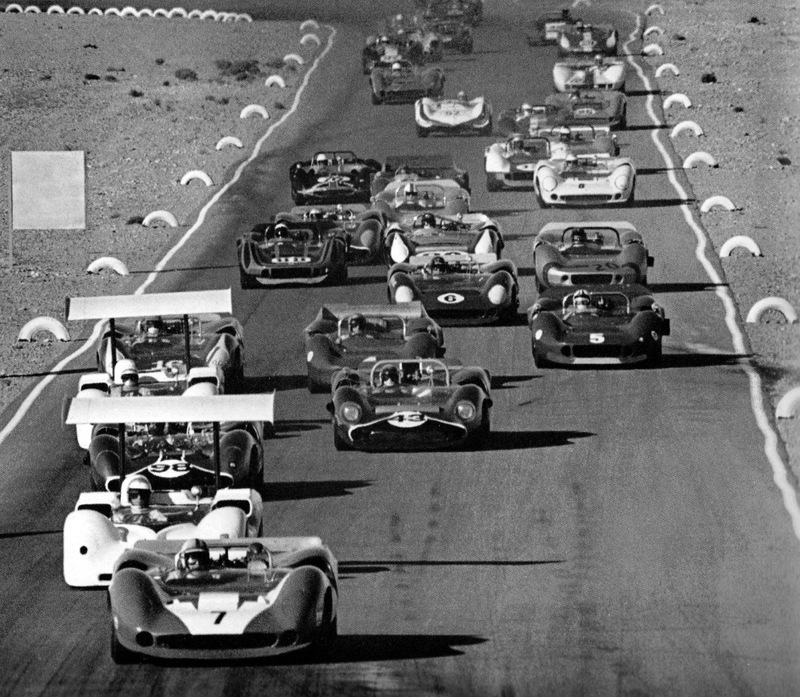 The racing world drooled over ‘R1’ which Clark qualified 2nd and lead the race until clutch problems intervened. 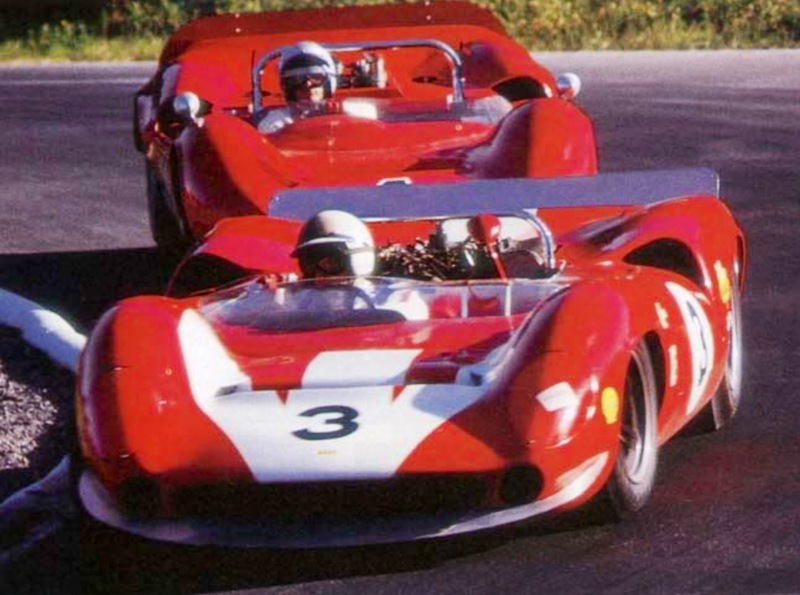 24’s were entered for Trevor Taylor, Innes Ireland and Jack, the competitiveness of the chassis shown by Taylor’s 2nd place, Jack qualified very well 4th, but was punted out of the race by Ricardo Rodriguez’ Ferrari 156. The Mexican spun across his path as Jack lined him up for a fast downhill pass. 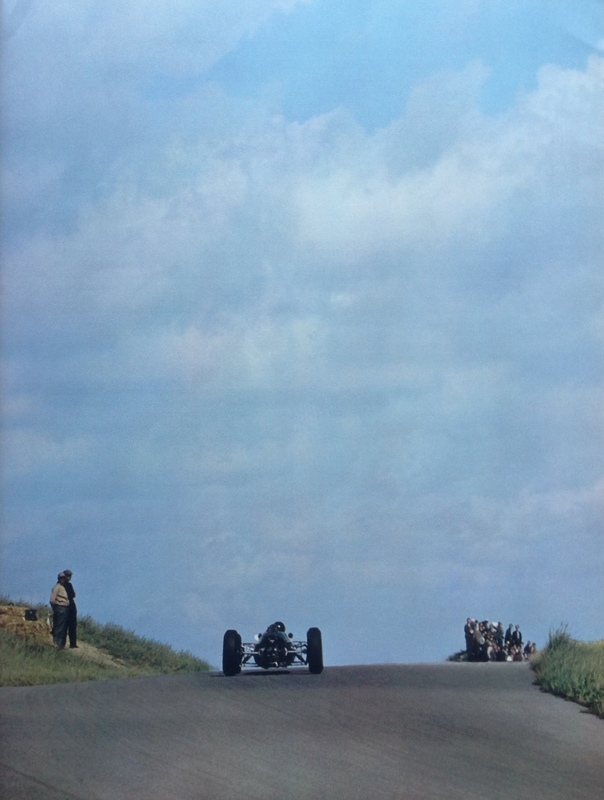 The race was won by Hills BRM P57. 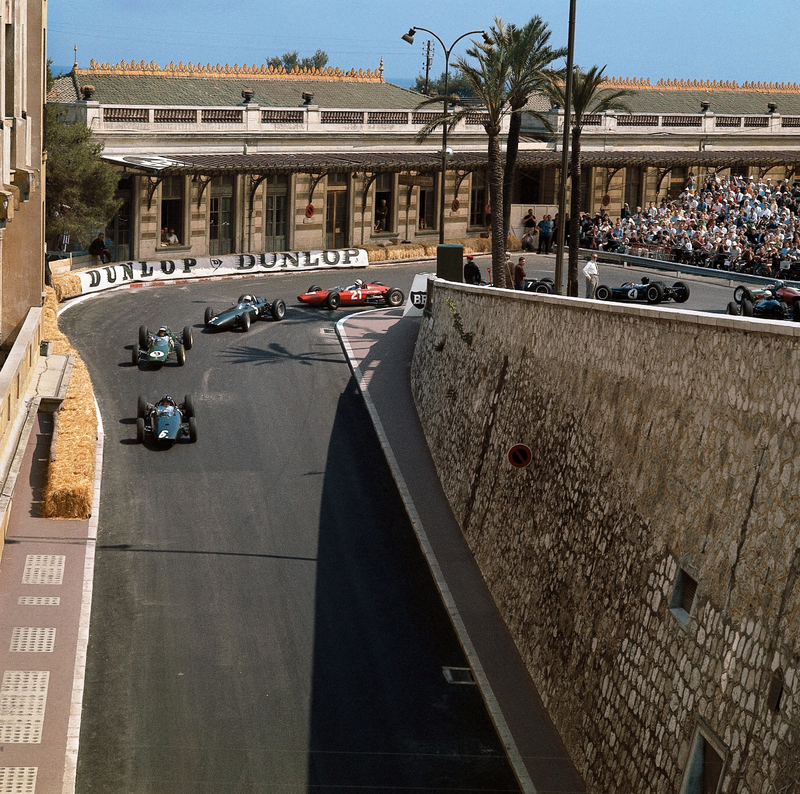 At Monte Carlo Jack had ‘947’ flying, he qualified 6th and raced in 3rd until until a prang forced his withdrawal. 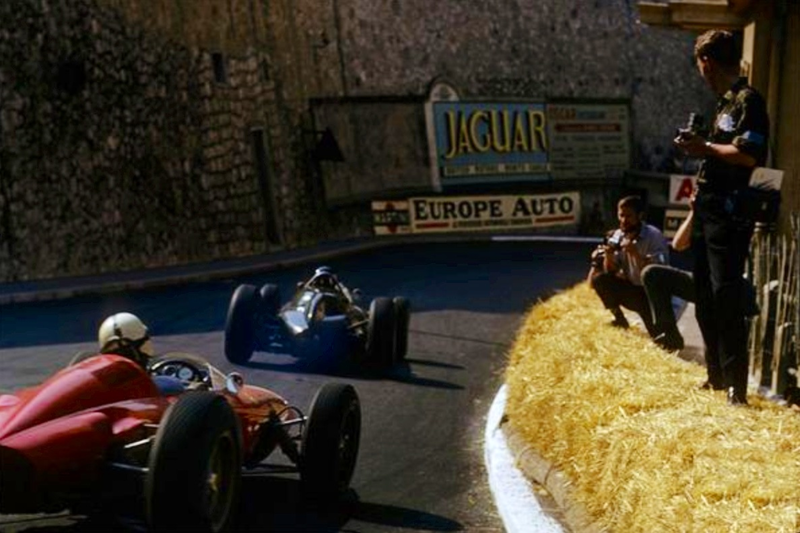 He was classified 8th and quipped ‘I had a wishbone break-after i hit the barricade’ avoiding Phil Hill’s spun Ferrari 156 in Casino Square. 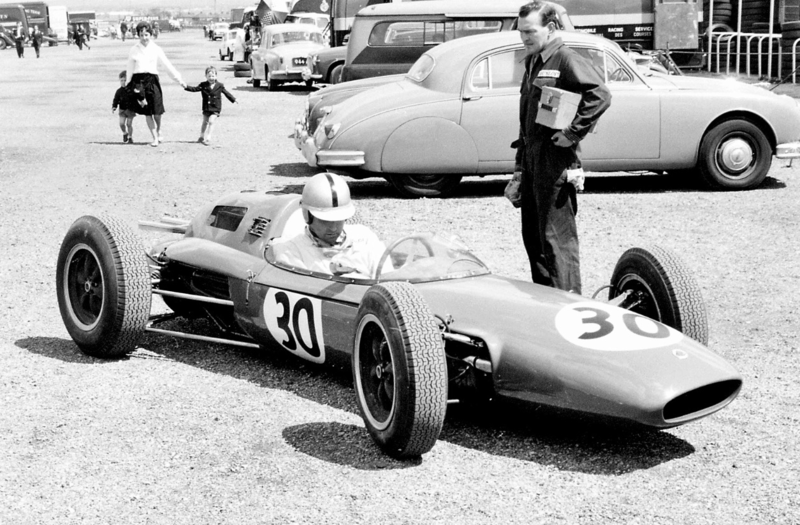 Bruce McLaren won in a Cooper T60 Climax. Back in the UK a week later for the ‘International 200 Guineas’ at Mallory Park on June 11 he finished 2nd from 3rd on the grid and continued to get good experience of the new Climax V8 in the 24. Surtees was victorious in his Lola Mk4 Climax. A week later at Spa on 17 June he qualified 15th having arrived late and had little practice but raced well finishing 6th. Clark took his and the 25’s first championship win. 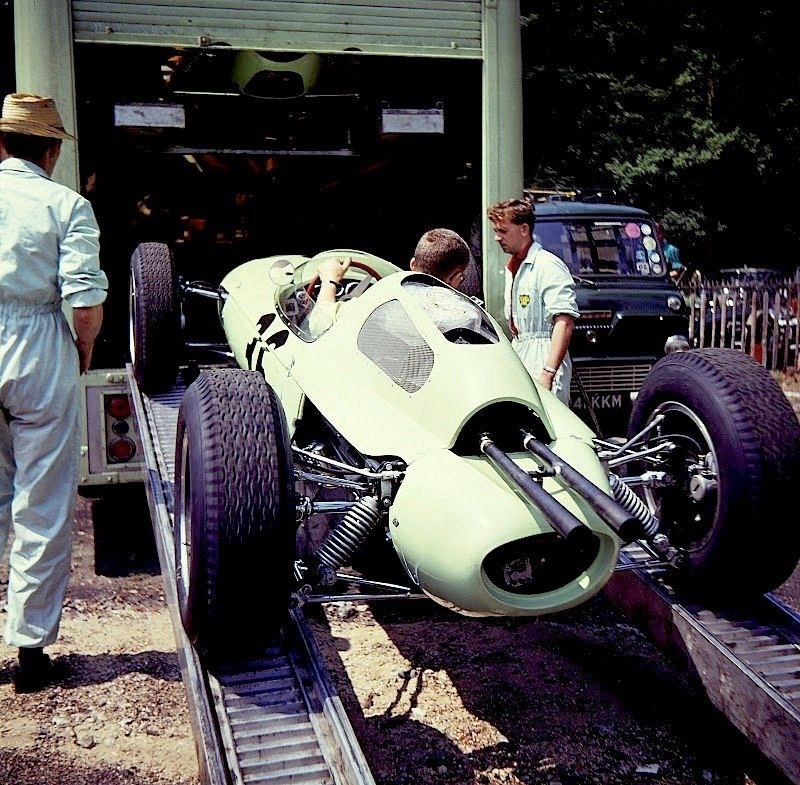 There the handling of the Lotus ‘was simply evil-demanding the full road width at 150mph…the boys straightened out the bent chassis (damaged in the Monaco prang) in time for Reims’. 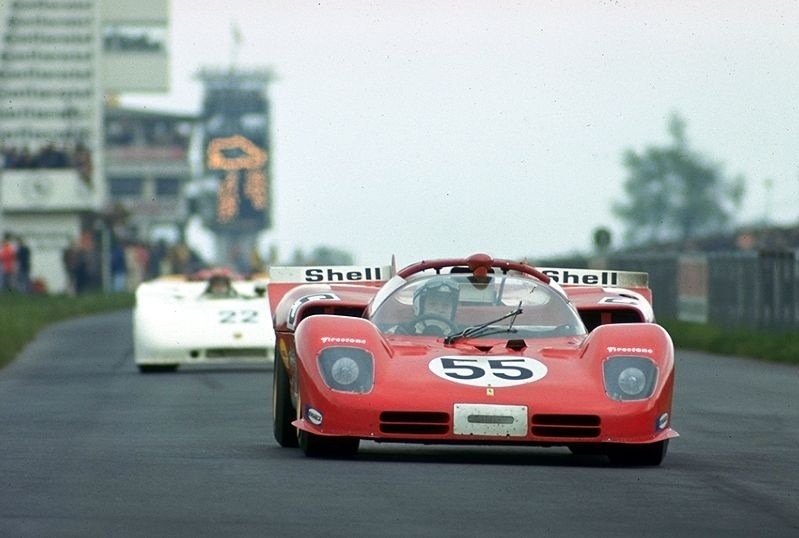 At Reims for the non-championship GP he was 4th from grid 5 on 1 July, McLaren again winning in a T60 Cooper. Jack enjoyed a long high speed slip-streaming dice with Bruce and Graham Hill’s BRM and in the process forgot to switch to the reserve fuel tank late in the race. 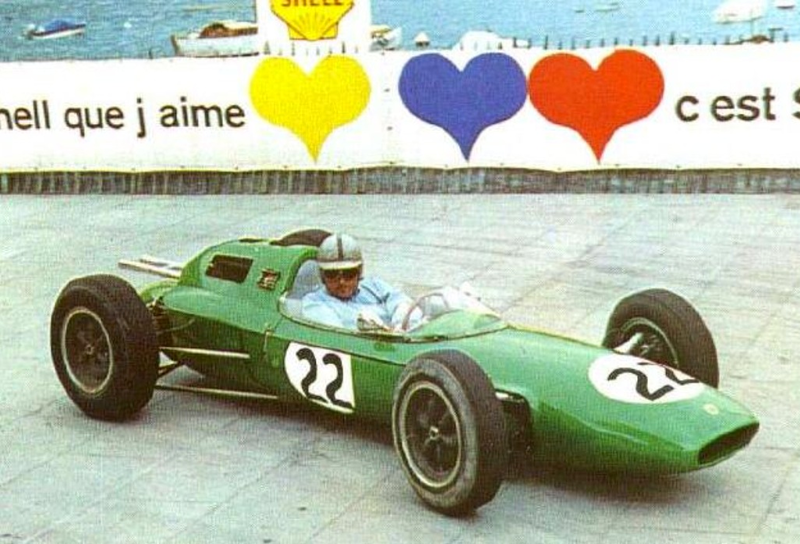 Then a week later Jack contested the French Grand Prix at Rouen-Les Essarts qualifying 4th but failed to finish with a suspension breakage, a rear shocker mount had broken. Dan Gurney took a popular win in the Porsche 804 from Tony Maggs Cooper T60, a wonderful result for the young South African. Hill and Clark both had troubles. Back home for the British GP, that year held at Liverpool’s Aintree on 21 July he qualified 9th and raced to 5th. 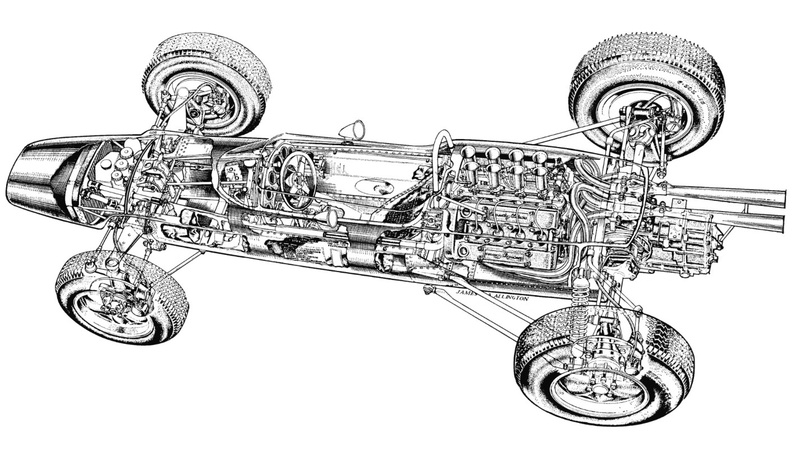 The new BT3 was nearly completed only difficulties finishing the complex ‘crossover’ exhaust system required by the early series Climax engines prevented its debut. The engine out of the 24 was slotted in and then tested at Brands ‘here at last was a modern F1 car into which i actually fitted. Its cockpit wasn’t too hot and most critically it handled beautifully. Ron really knew his stuff’ said Jack. The BT3 was taken straight to the Nurburgring for its GP debut. 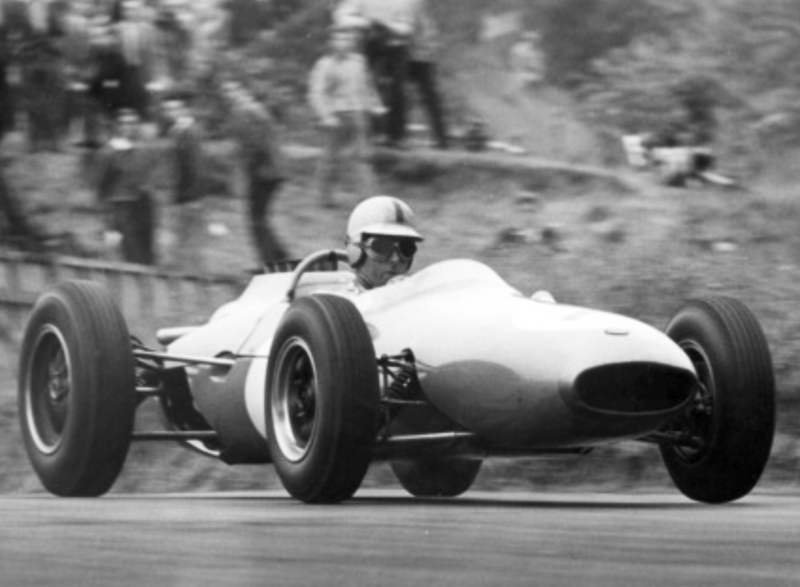 On the 5th of August BT3 finally made its GP debut at the Nurburgring, Jack was taking the new car gently but it still ran the bearings in his Climax engine. The team built an engine from the bottom end of a Team Lotus unit and top end of the one in BT3, which was rough but allowed him to qualify. Jack’s spare was flown in that night to Cologne and fitted in the morning. He qualified 24th but failed to finish with a throttle linkage which had been lashed up with extra springs to ensure it would close safely, throttle balance in the corners a real challenge, so he retired. 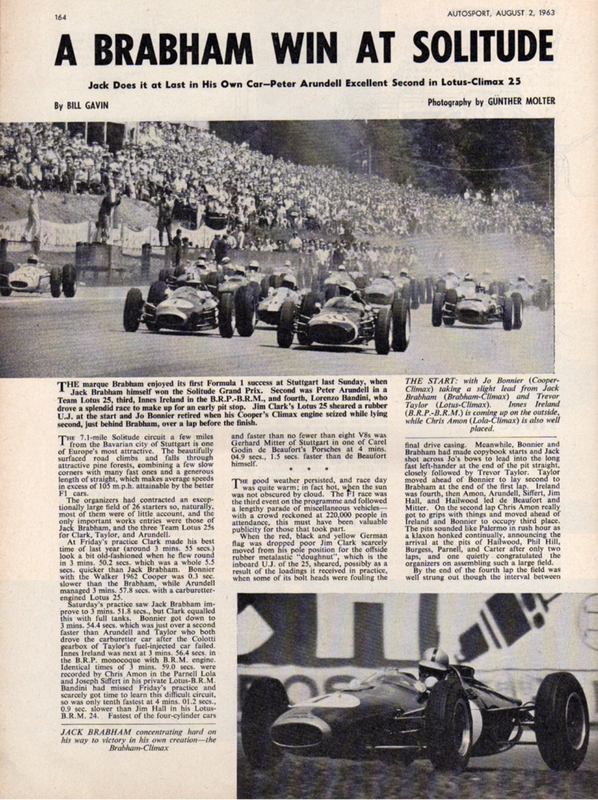 This thrilling race in awful wet conditions, watched by over 350000 fans was won by Graham Hill, a supreme drive in his BRM P57 by 2.5 seconds from Surtees’ Lola Mk4 Climax and Gurney’s Porsche 804. Whilst testing of BT3 continued Jack raced the Lotus 24 ‘947’ one last time in the 3rd Danish GP at Roskildering on 25 August winning all 3 heats in a real carve-up with Masten Gregory in a similar Lotus 24, and the event as a consequence. 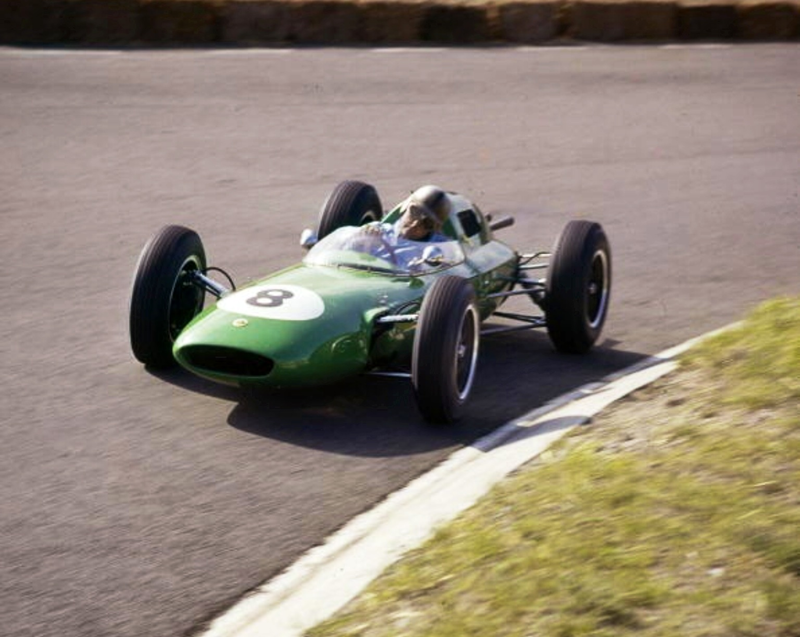 Back in the UK Jack contested the ‘9th Gold Cup’ at Oulton Park on 1 September, Clark won the race in his Lotus 25, he seemed to have more luck in the non-championship than title rounds in 1962, Jack was 3rd in BT3 having qualified 5th. The race was held over a full GP distance so provided valuable mileage for the new car. A critical learning was that the brake pads had worn after only 40 laps of a total of 73, the discs were increased in size from 9 to 10.5 inches and spring rates stiffened, the body was also ‘tidied up’ post Oulton. Jack elected to miss the Italian Grand Prix on September 16 in order to better prepare for the ‘away races’ at the end of the season; the non-championship Mexican GP and final championship rounds at Watkins Glen and Kyalami. 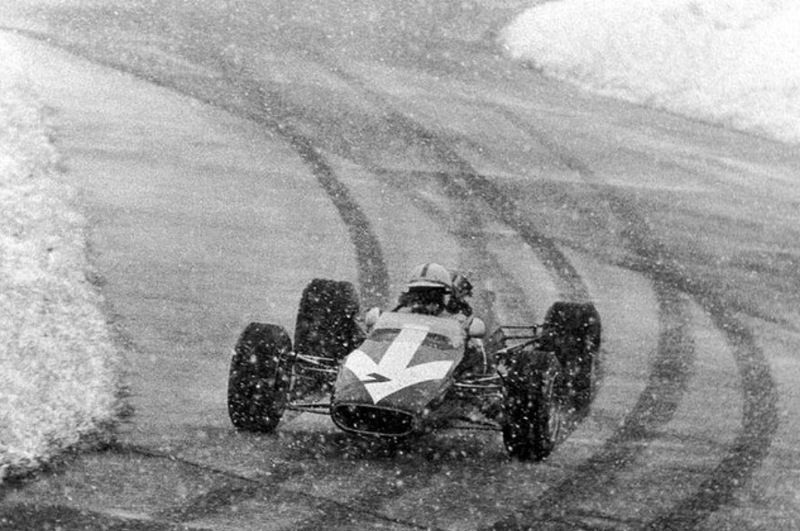 Graham Hill won at Monza from teammate Richie Ginthers BRM P57, Clark started from pole but this time gearbox dramas caused a lap 12 DNF. 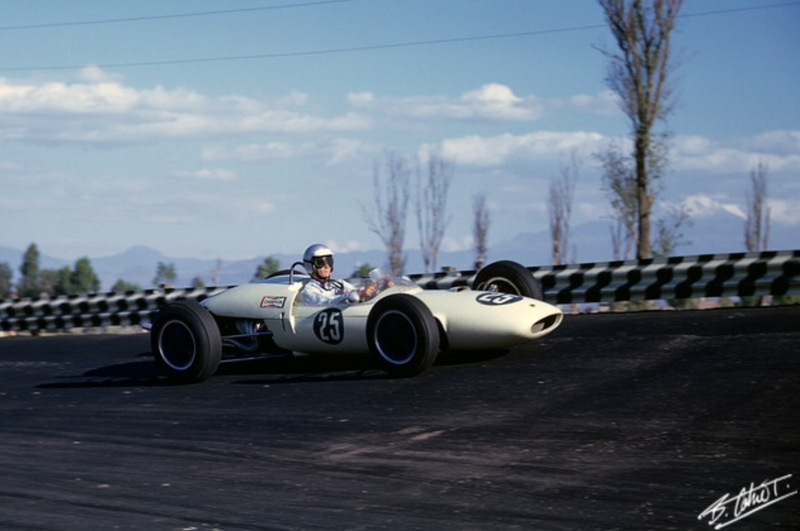 The US Grand Prix was held at Watkins Glen on October 7, Clark won the race from Hill and in so doing kept his championship hopes alive, the title was decided in the final round in South Africa. Jack had a competitive run finishing 4th, having a big dice with Gurney and McLaren, despite his Colotti box jumping out of gear and qualifying 5th, the ‘Automobile Year’ report stating Jack ‘created a sensation in qualifying’ with what was still a new car. 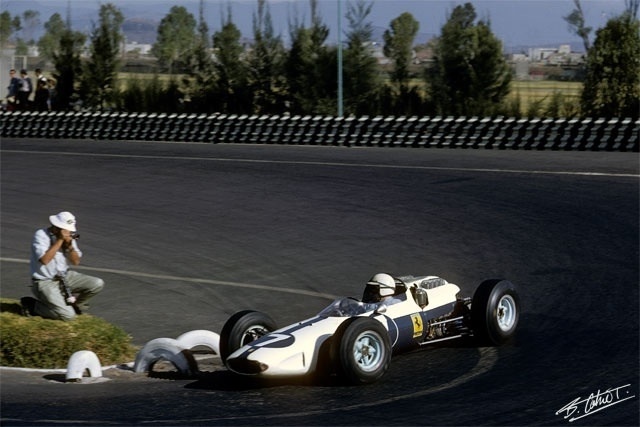 The non-championship Mexican Grand Prix was contested by many of the GP teams on 4 November as it was close to the US Grand Prix in both time and proximity. The event was a tragic one; Ferrari had not entered but local star Ricardo Rodriguez, a Ferrari driver that year was keen to strut his stuff in front of his home crowd at the Magdalena Mixhuca circuit at Mexico City. 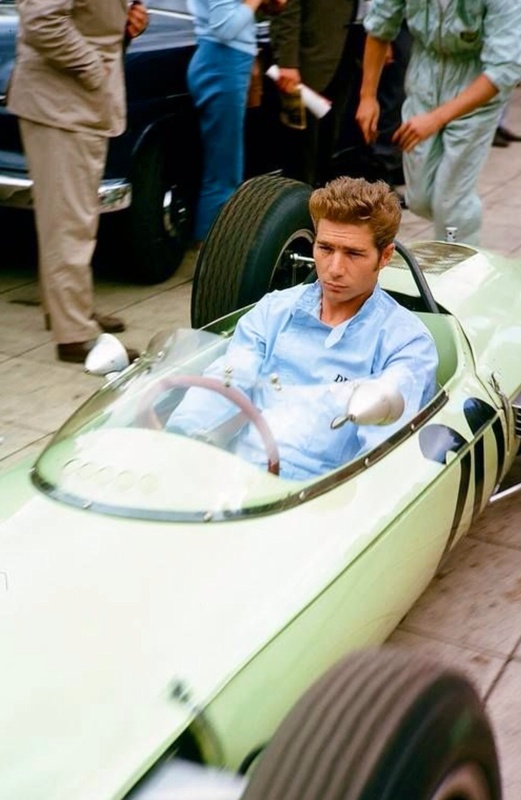 He approached Rob Walker who entered the 20 year old in his Lotus 24 Climax. Jack’s Lotus 24 ‘947’ was lent to John Surtees for this race and was a ‘bit player’ in the sequence of events which lead to Ricardos death. Rodriguez had fastest time, which Surtees then pipped in ‘947’. 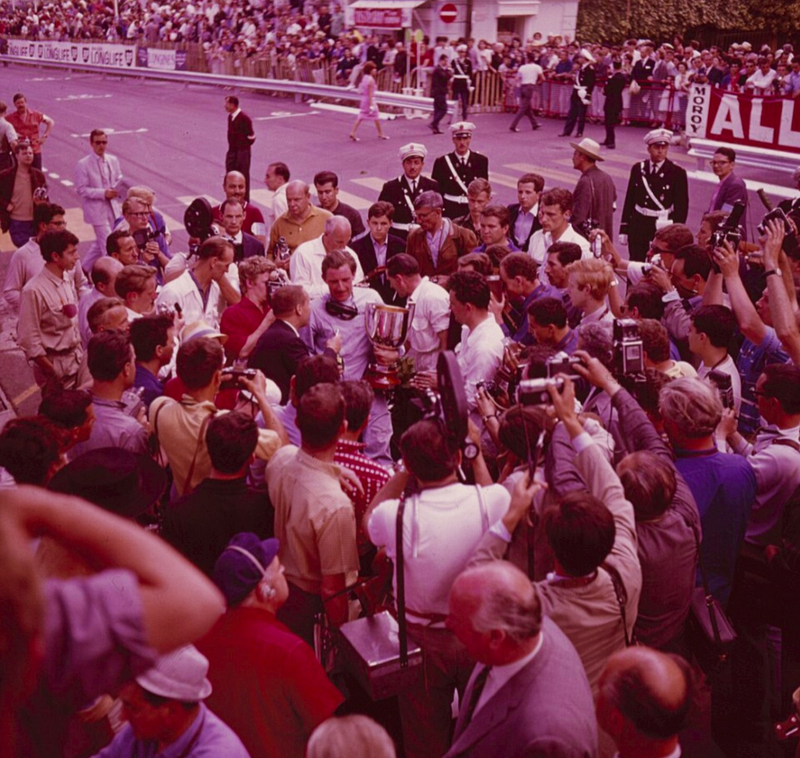 Rodriguez kissed his father on the hand from the cockpit of the Lotus and went out to attempt to retake pole to keep the faith with the thousands of his countrymen who had turned up to see him. The poor driver had a massive, fatal accident on the dauntingly fast Peraltada corner. 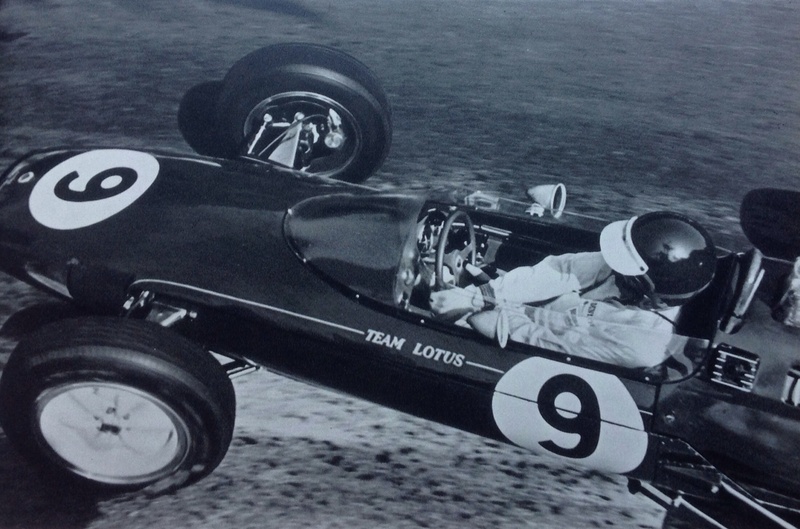 Some reports say their was a right rear suspension failure on the Lotus, others that he was simply going too fast in a car he wasn’t familiar with. 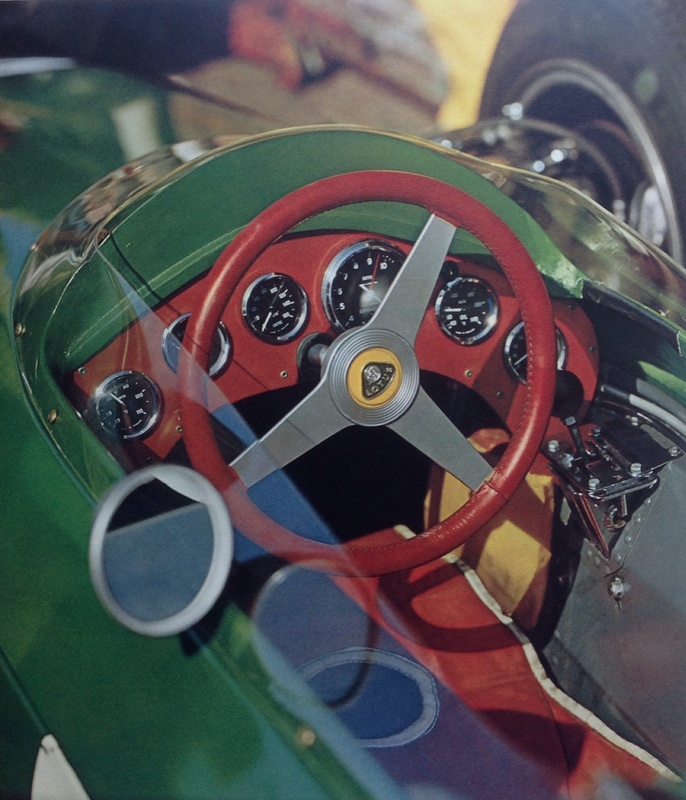 Innes Ireland’s account in his autobiography of the differences in handling of the Lotus 24 and Ferrari 156, he raced both in 1962, is that they were considerably different. 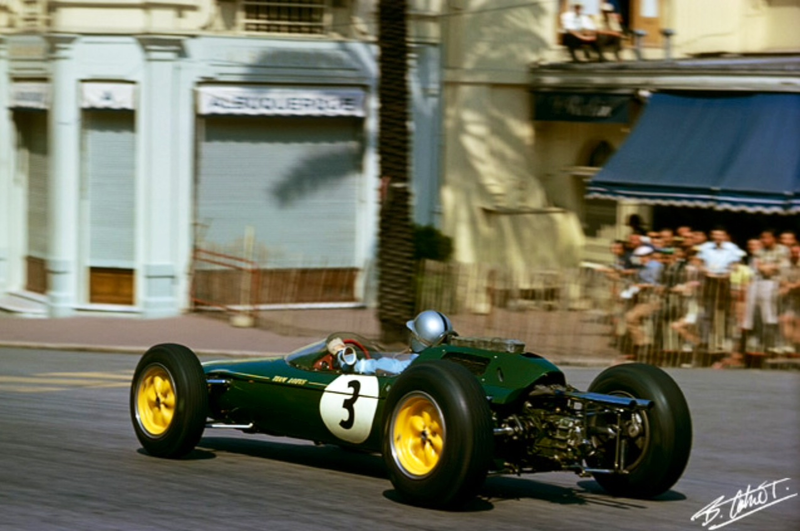 Its possible given his limited time in the Lotus that Rodriguez made an error as a result of the differences in handling characteristics of the different chassis’. Whatever the case the young driver was dead. 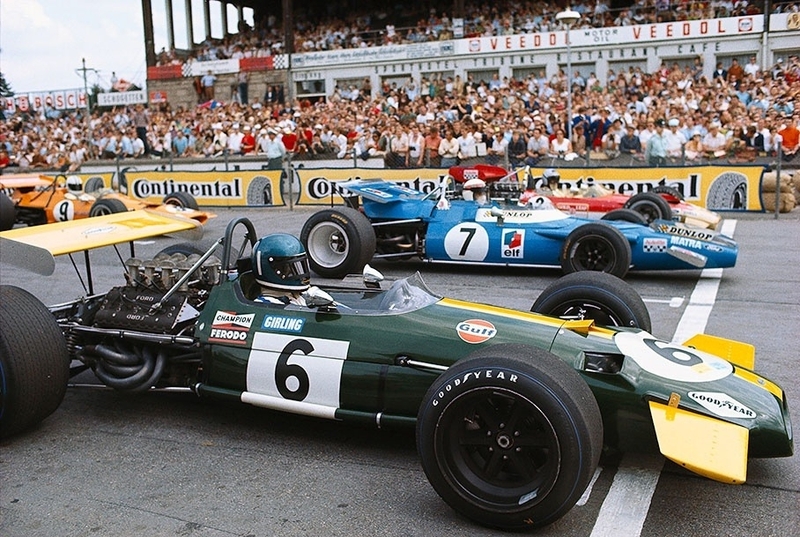 Clark and Trevor Taylor shared the winning Lotus 25 from Jack’s BT3 and Ireland’s Lotus 24. 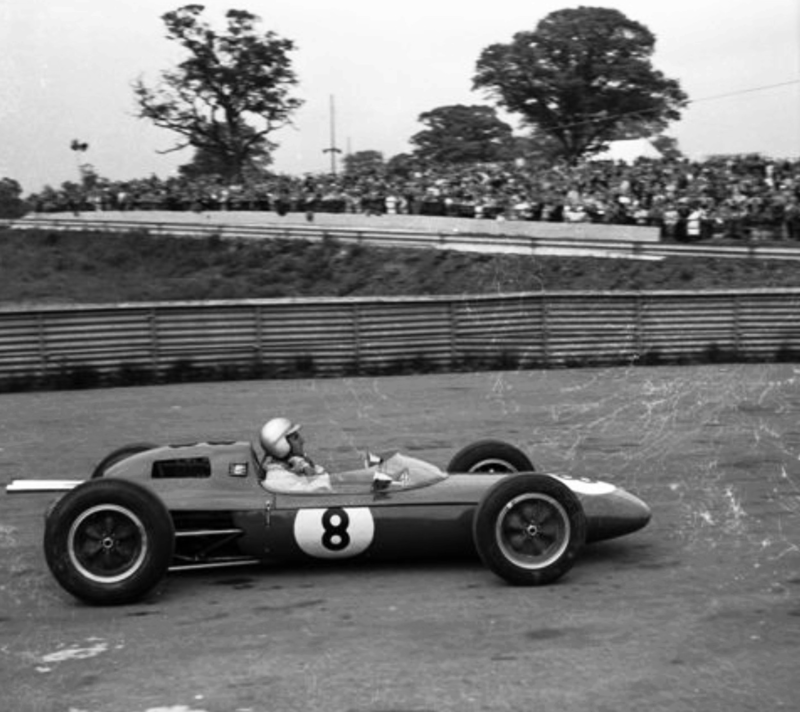 John Surtees, in Jack’s Lotus 24 qualified 4th in front of Jack in 7th but had ignition failure in the race and failed to complete a lap. ‘947 was then sold to Syd van der Vyver in South Africa. It was subsequently destroyed in a workshop fire there, it and Jack’s Lotus 21 ‘936’ have been ‘reconstructed/rebuilt/rebirthed’ and run in Historic Events to this day. At Kyalami on December 29 Jack had another competitive points winning run again finishing 4th, despite a gearbox jumping out of 3rd and 4th gears. 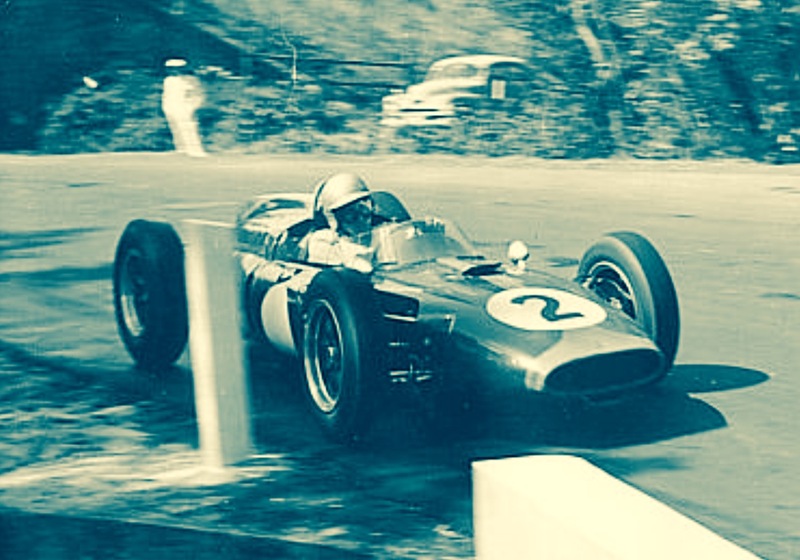 Jack experimented with the first Hewland gearbox in BT7 in 1963 and in so doing ended the gearbox unreliability for the non-BRM British teams of the era, Mike Hewland’s transmissions amazingly robust. 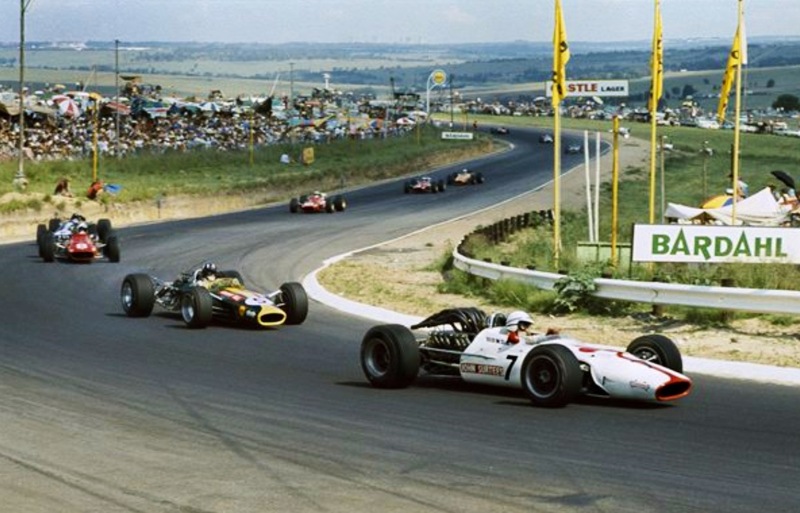 All of the South African GP drama was centred on the battle for the championship between rivals and friends, Clark and Hill. 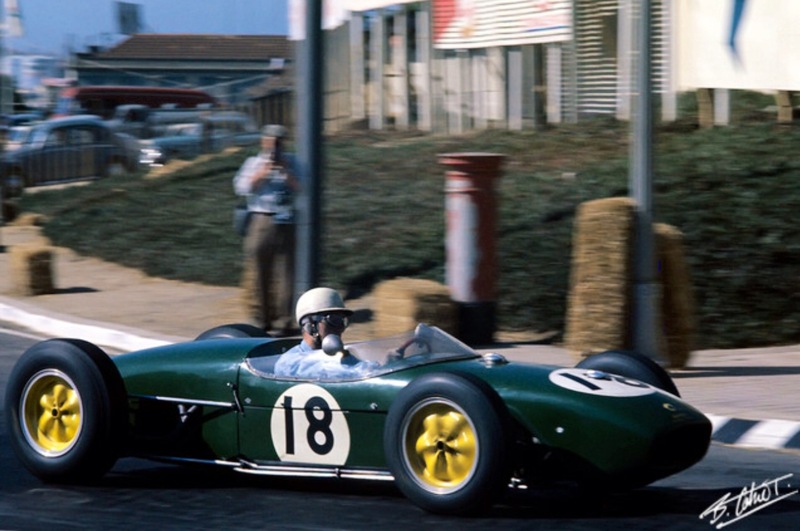 Clark led from pole and had the race ‘in the bag’ but as was so often the case in 1962, whilst the Lotus 25 was easily the fastest car it was not the most reliable. Races were lost due to engine, gearbox, clutch and other component failures, and so it was that Jim retired on lap 61 of the 82 lap event with an engine losing oil, a liquid which cannot be replenished during a race. 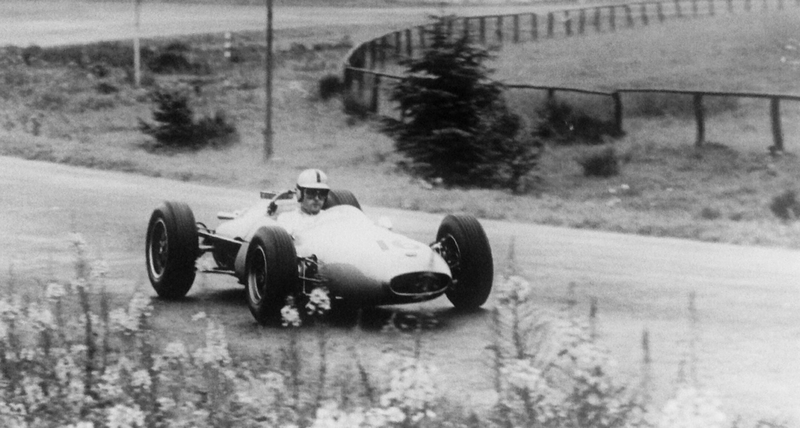 Hill took a popular race and drivers championship win, and BRM’s only one as a manufacturer. 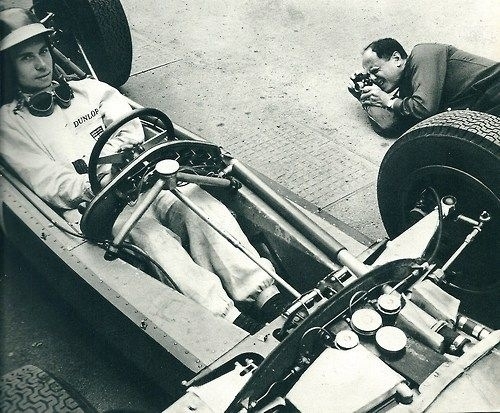 Ron Tauranac developed a new car for 1963, the BT7 which was a lighter and cleaned-up BT3, Gurneys car 2 inches longer in the wheelbase than Jack’s in an effort to keep the lanky Californian comfier than Jack had been in Chapman’s Lotus 24! Jacks BT7 was not ready until later in the season, he ran BT3 at Monaco before the Climax engine failure, racing the Team Lotus 25 and at Spa before using BT7 in the championship events from the Dutch GP in June. 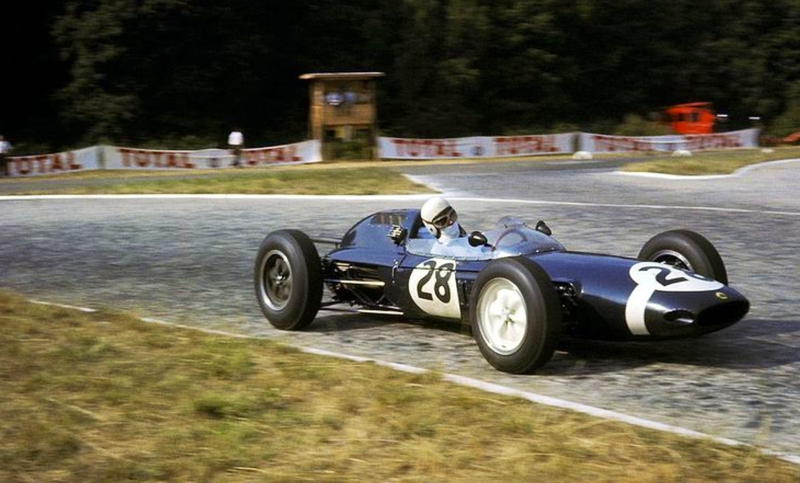 Fittingly BT3 won Brabham’s first GP as a manufacturer when Jack won the Solitude GP, near Stuttgart, Germany on 28 July 1963 from Peter Arundell’s works Lotus 25 and Innes Ireland’s BRP BRM. The circuit was majestic, 7.1 miles long with many fast corners through pine forests with average speeds of over 105 mph, it was a fitting place to take such a win. Solitude was truly an amazing feat for a newish marque. 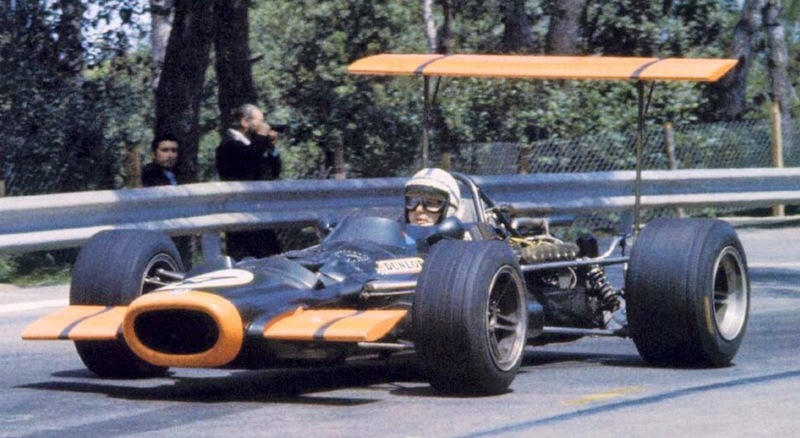 Jack famously became the first man to win a championship GP in a car of his own name and manufacture at the French GP in 1966, when BT19 Repco took the chequered flag. BT3 was also used by Jack to win the Austrian GP at Zeltweg on 1 September from Tony Settember’s Scirocco BRM and Carel de Beaufort’s Porsche. 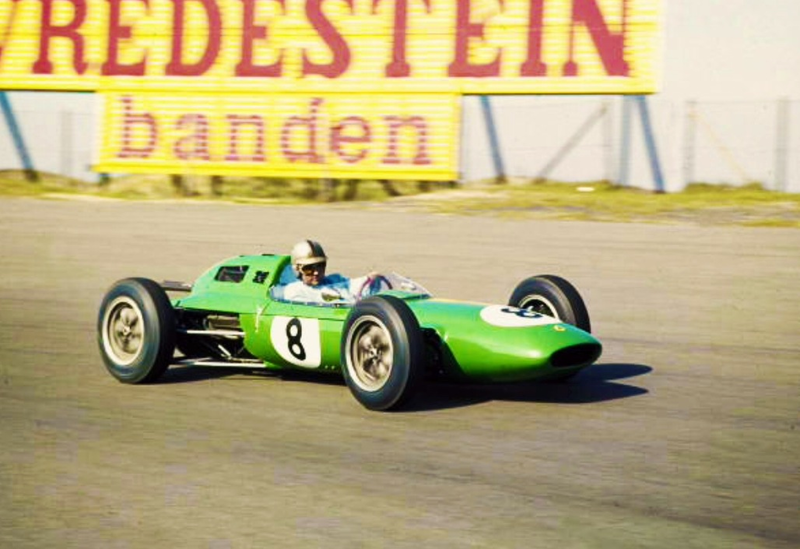 Raced by Denny Hulme to 3rd in the Kanonloppet at Karlskoga, Sweden behind Clark and Taylor’s Lotus 25’s on 1 August, BT3 was retained as BRO spare car for the balance of 1963. 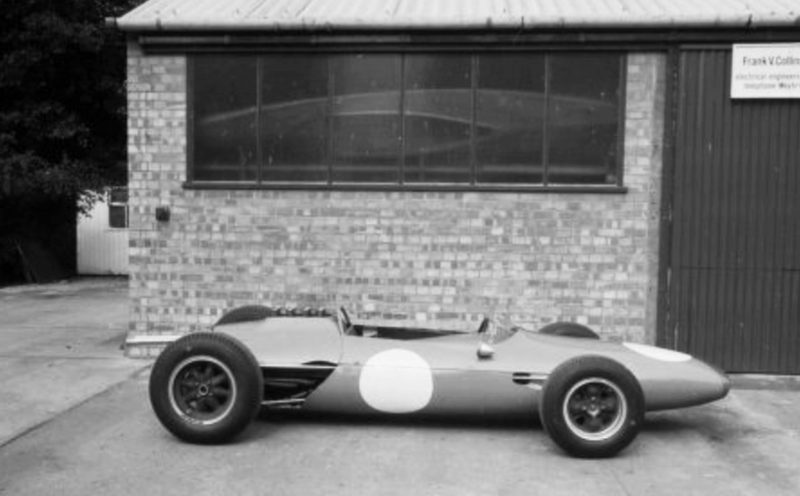 Team Lotus sorted the 25 over the ’62/3 winter into a more consistent, reliable package, Doug Nye credits Len Terry for his role in finessing and fettling the car and Coventry Climax also developed the engines further. 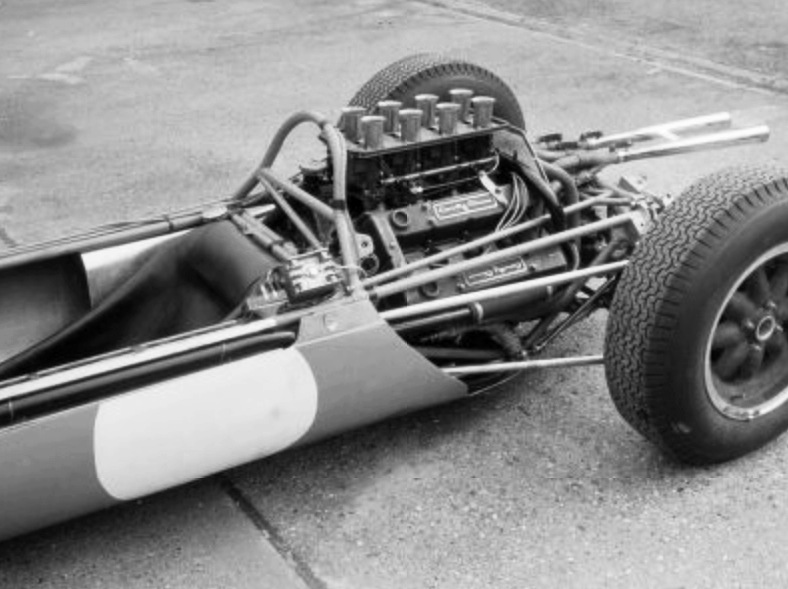 Not only was the Lotus 25 and its successor 33 the best package of the 1.5 Litre F1 but one of the ten most important GP designs ever…no doubt Ron Tauranac had a good, long, hard look at Jacks sister Lotus 24 as he finalised the design elements of BT3 in the early months of ’62. One of the bits of history which amuses me, small things amuse small minds, granted! 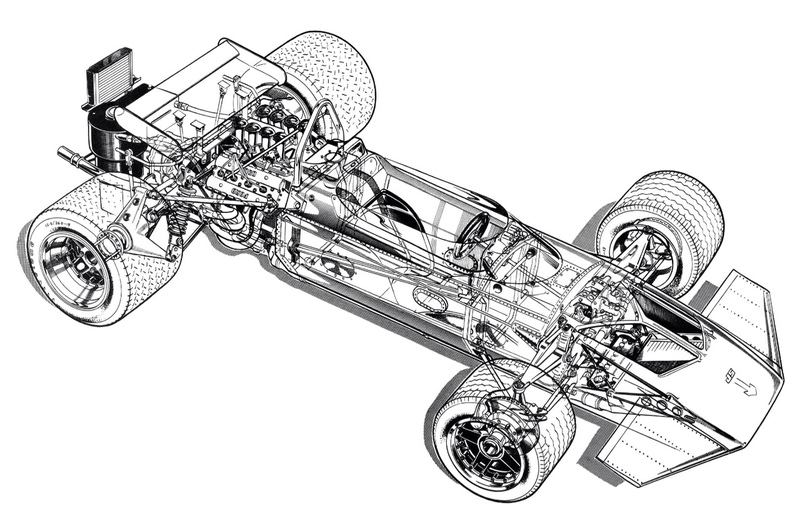 is that despite the undoubted technical advantages of a monocoque chassis over a good-ole spaceframe, Tauranac’s Brabhams won GP’s with spaceframes right to the end of the sixties; his 1968 design BT26, won 2 Grands Prix for Jacky Ickx in 1969, let alone the titles Ron and Jack took in ’66 and ’67! So theory and practice sometimes diverge. 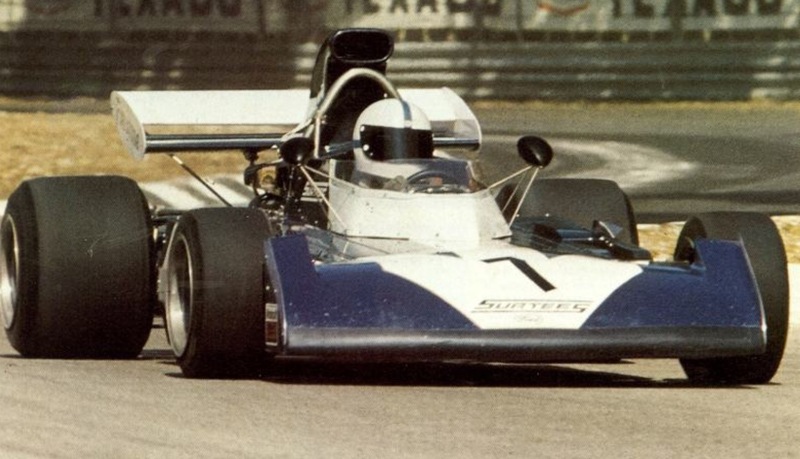 Tauranac’s first monocoque GP Brabham, the 1970 BT33, a change forced by regulations demanding ‘bag’ fuel tanks (his 1968 BT25 Indycar was his first monocoque) was a ripper car, one of the seasons best, it should have won at least 3 GP’s (South Africa, Monaco and British) instead of the one it did and Jack with luck, could have taken a title in his final, 1970 F1 year. Back to the period at hand; 1962’s BT3 evolved into 1963’s BT7, a very competitive package in the hands of both Jack and particularly Dan Gurney who became the driver the era’s undoubted star, Jim Clark feared the most. The photos below by George Phillips were taken of BT3 on 29 July 1962 at MRD’s New Haw Lock factory beside the River Wey navigation canal adjacent to the old Brooklands circuit. 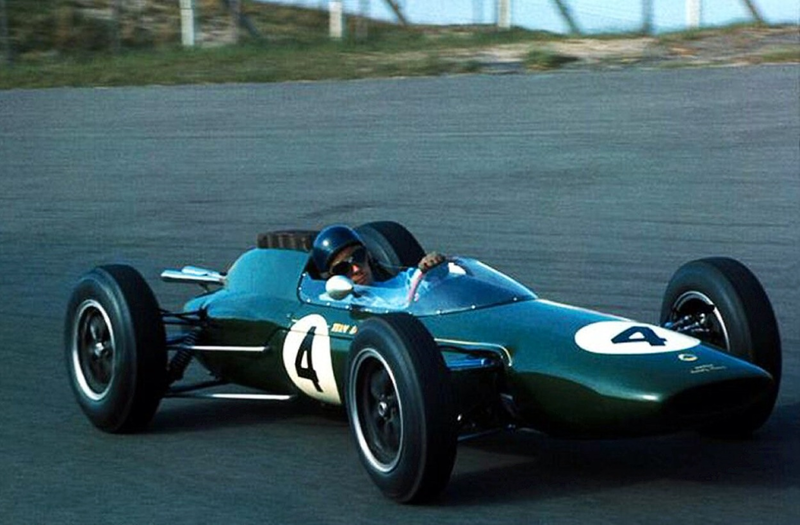 What a sense of achievement and anticipation Brabham must have felt as he set off on his first laps of The ‘Ring in BT3, in his wildest dreams i doubt he would have imagined the success of the following years?! He was comfortably in the lead of the race by 14 seconds when the car engaged 2 gears at once on the entry to the Gasometer hairpin. 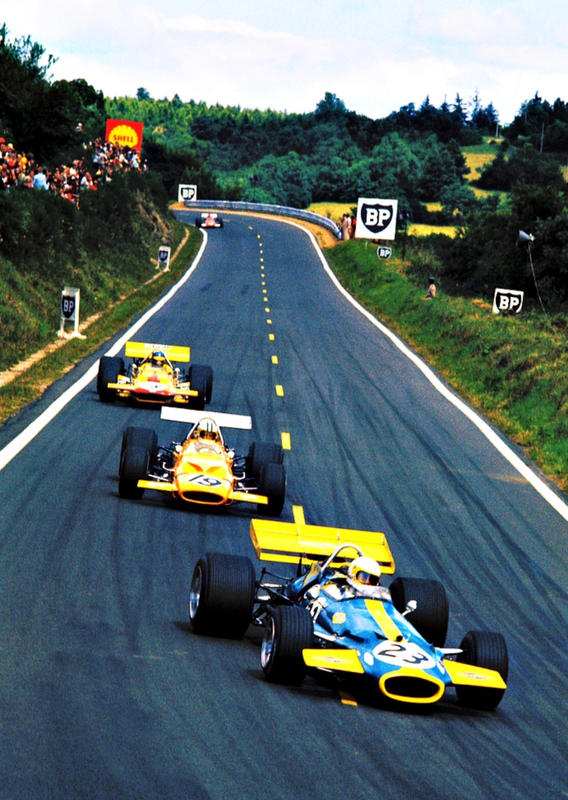 Graham Hill inherited a lead he maintained to the race’ conclusion. 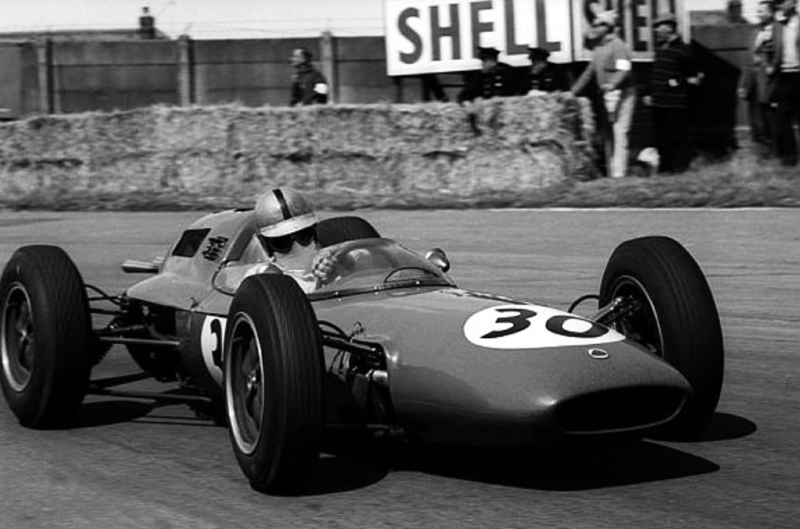 The Lotus 25, the first ‘modern monocoque’ appeared at the Dutch Grand Prix in 1962 and was much copied for the 1963 season. 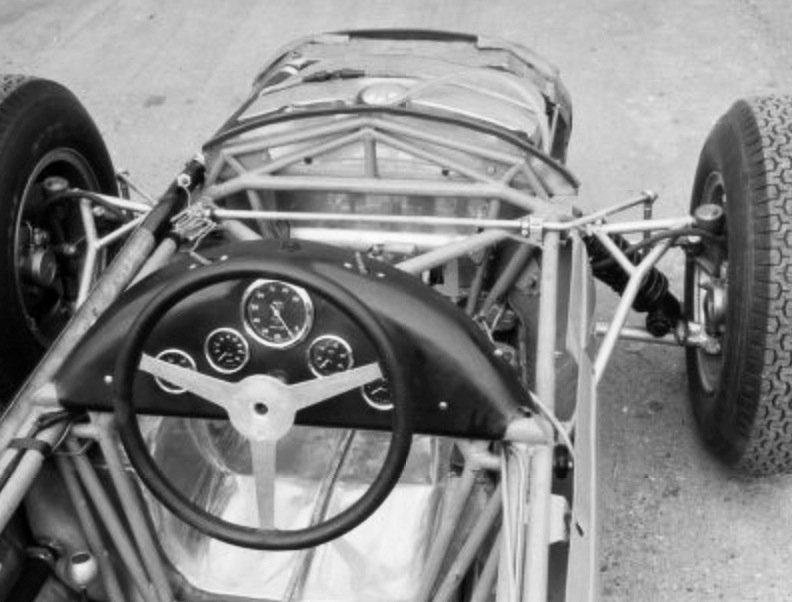 For ’63 the car remained much unchanged other than small details and power increases from the Coventry Climax FWMV 1.5 litre quad cam, 2 valve V8. Lucas fuel injection was adopted and a changed bore/stroke ratio allowed higher rpm and power. Lotus retained the ZF gearbox but also tried a 6 speed Colotti-Francis ‘box and later in the season a Hewland 5 speed transmission which would soon become ubiquitous. 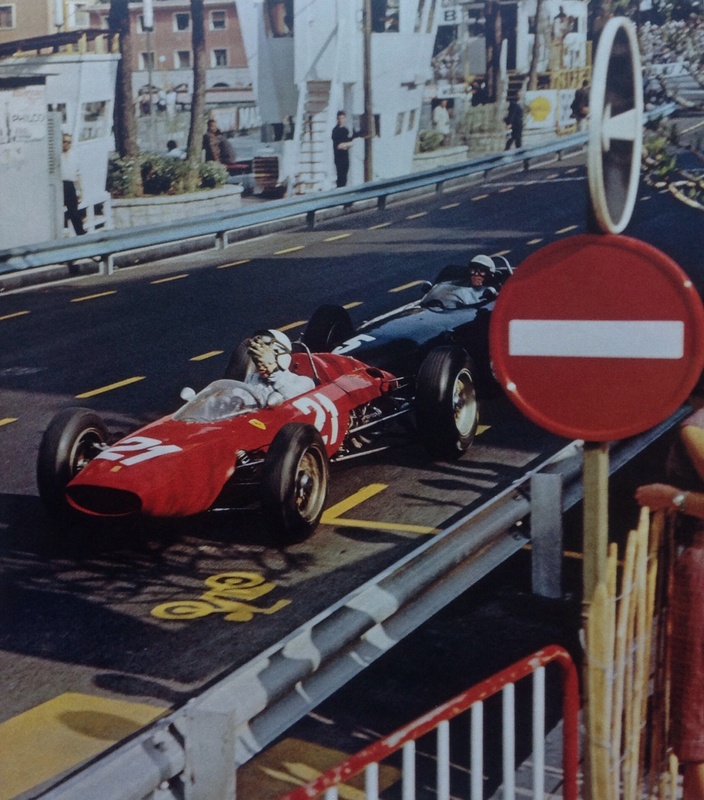 John Surtees and Richie Ginther in Ferrari T56 and BRM P57 respectively scrapped for much of the race, this shot is on the entry to the Gasometer hairpin. 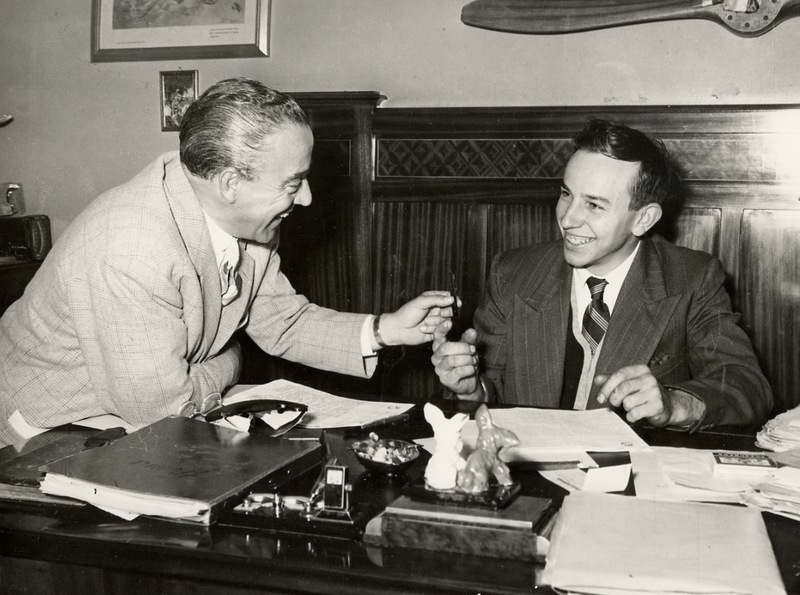 Ginther tries to pass with Surtees gesticulating in protest. 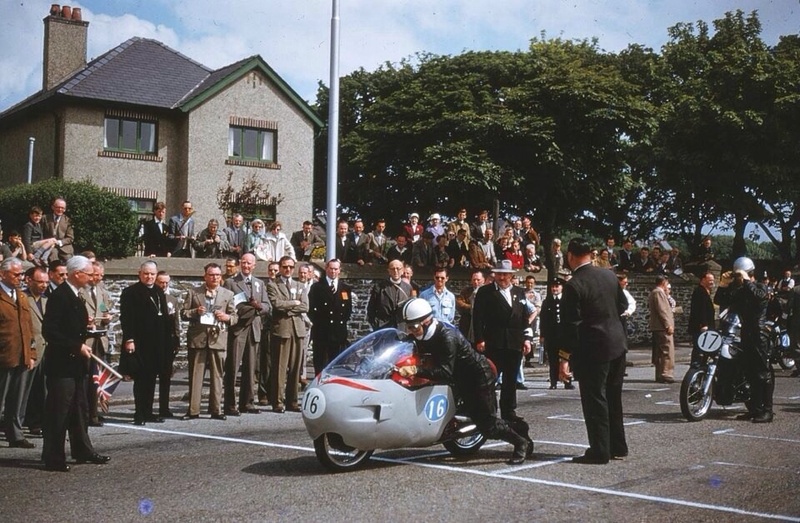 Ginther finished second to teammate Hill, with Surtees, sitting in a pool of oil and with falling oil pressure finished fourth and set fastest lap on the last lap and the lap record. 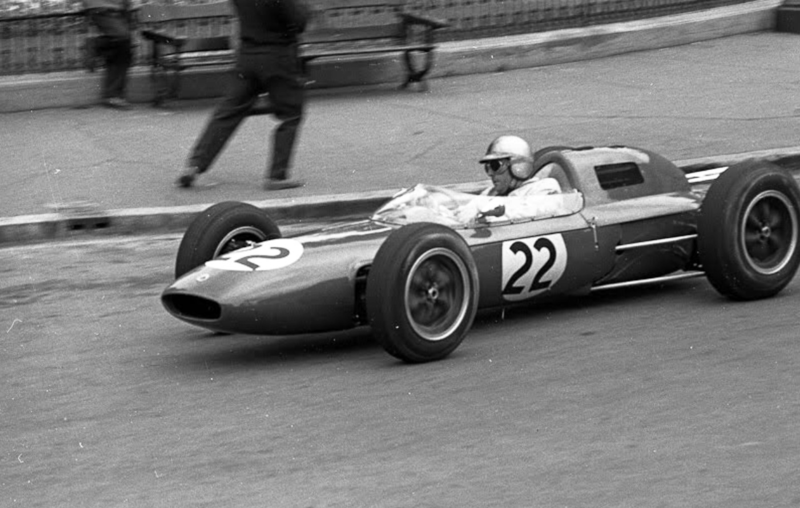 McLaren was third in his Cooper T66 Climax. 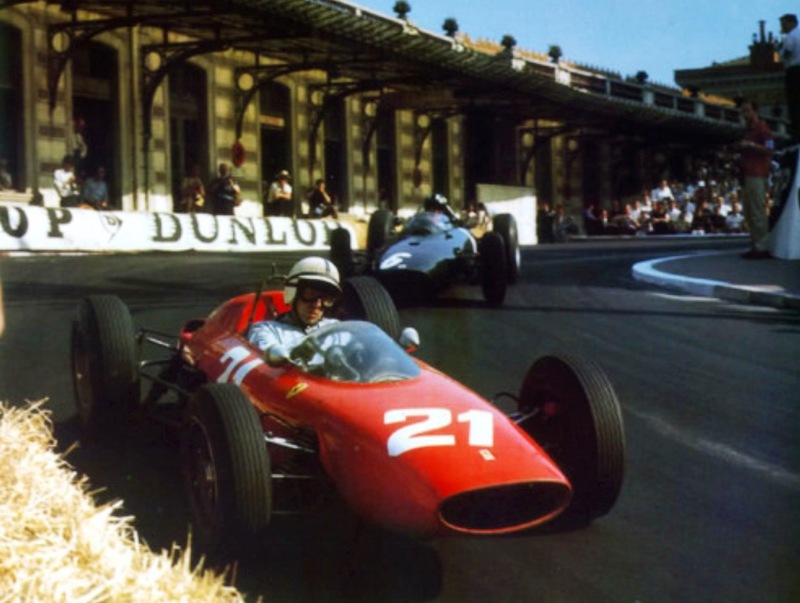 Ferrari competed with interim cars for much of the season using the V6 engines which won the World Championships in 1961. 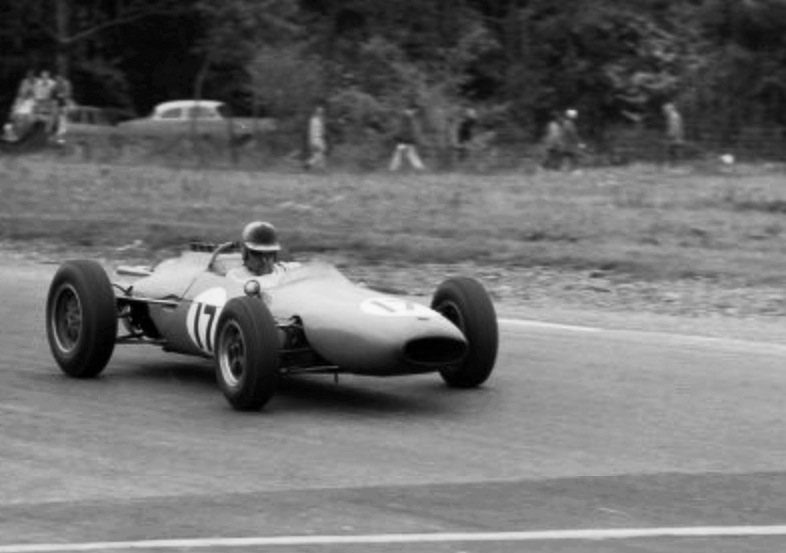 The 1964 car appeared at Monza powered by a V8, the development of the car in ’63 setting up Surtees’ tight title victory in 1964. 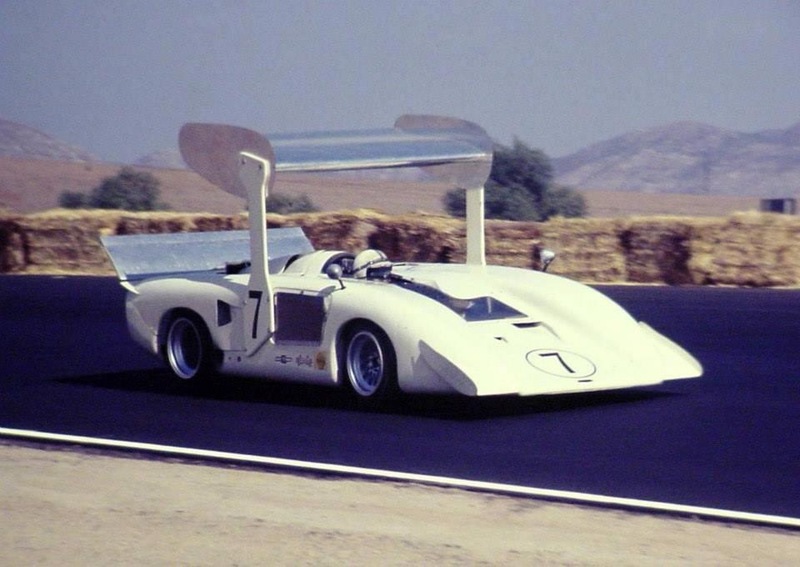 This short article makes no attempt to put into perspective one of the most successful and influential racing cars of all time, the first ‘modern monocoque’ includes amongst its relatives all monocoque racing cars built since its debut at Zandvoort in May 1962. ‘Monocoque’ construction by riveted ‘D section’ light alloy longerons attached to fabricated steel bulkheads front and rear. Front suspension by upper top rocker operating inboard mounted coil spring /damper unit, lower wishbone and adjustable sway bar. Rear suspension by upper top link, inverted lower wishbone and coil spring/damper unit and adjustable sway bars. Cast alloy uprights front and rear. Girling disc brakes, rack and pinion steering. Wheelbase 91 inches, track front 51.5 inches, rear 51.75 inches, overall length 146 inches, dry weight 990 pounds. Wheel sizes 5X15 front and 6 or 6.5X15 inches at rear. Coventry Climax FWMV 1.5 litre 90 degree V8. Bore 67.8mm, stroke 51.6mm, 1496cc, Lucas fuel injection, compression ratio 10.5:1, weight 290lb, 194bhp @ 8500rpm. ZF gearbox mainly used in 1963 but Colotti and Hewland also tried. 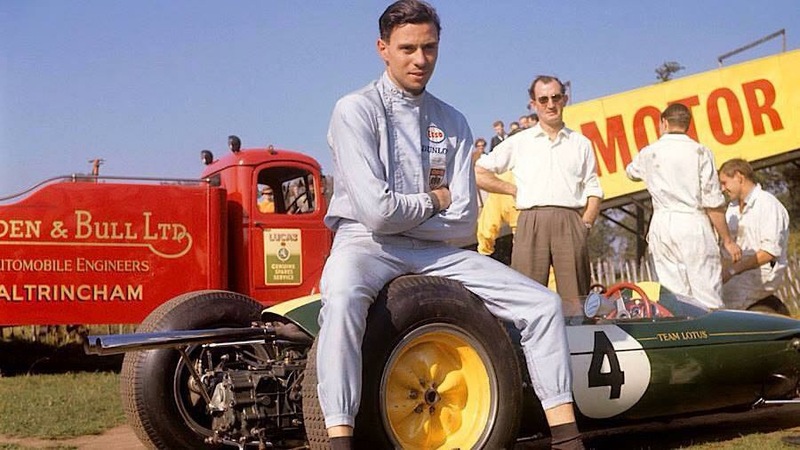 That Jim Clark and the Lotus 25 were the fastest combination in 1962 was not in doubt but Coventry Climax reliability was not as great as BRM’s that year. 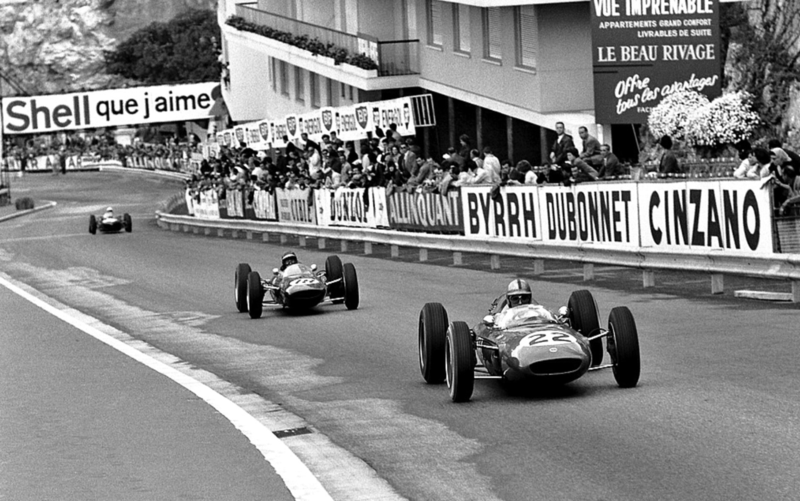 In 1963 the promise of ’62 was realised with Clark winning five Grands’ Prix and both the Drivers Championship for himself and the first Manufacturers Championship for Lotus. 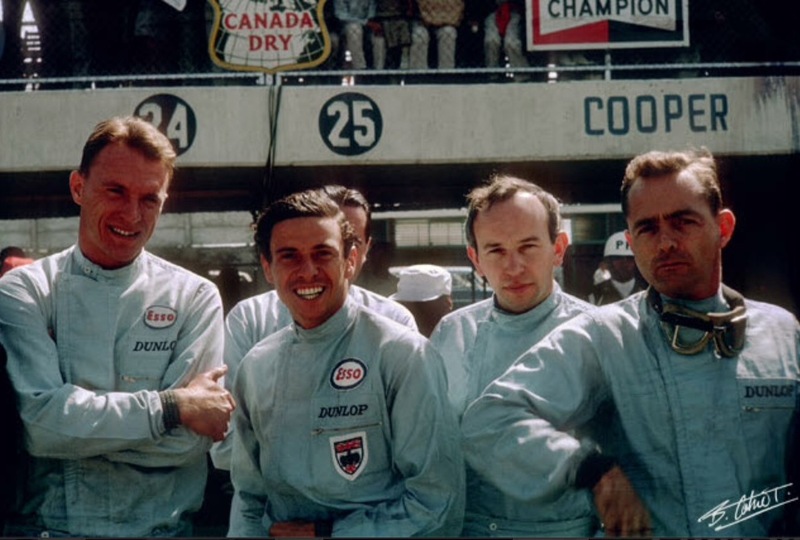 Clark finished second in a Lotus 29 Ford in his first foray to Indianapolis and further demonstrated his versatility with wins in cars as diverse as the Lotus 23 sports car and Ford Galaxie touring car/saloon that year. 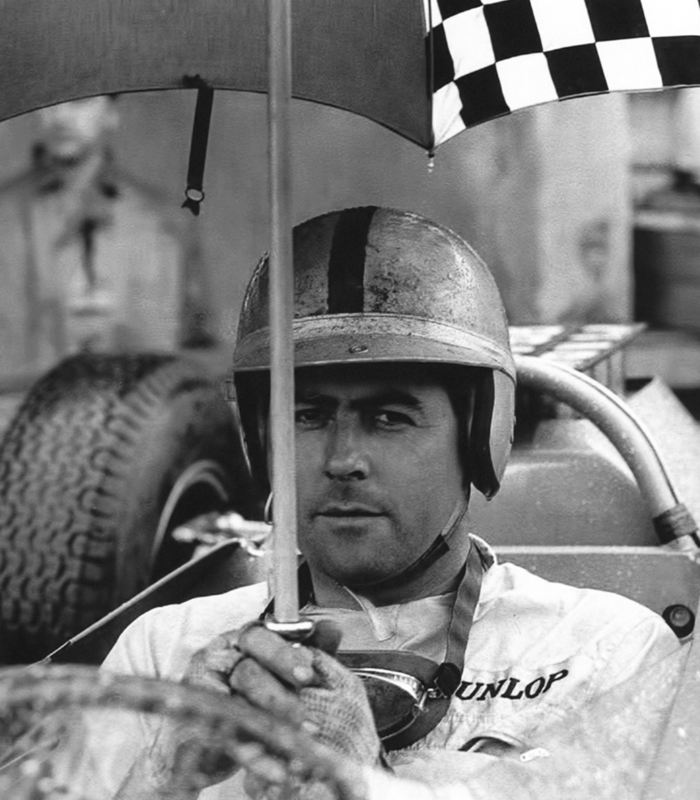 Clark became the standard by which other drivers were judged in 1963, if not earlier. 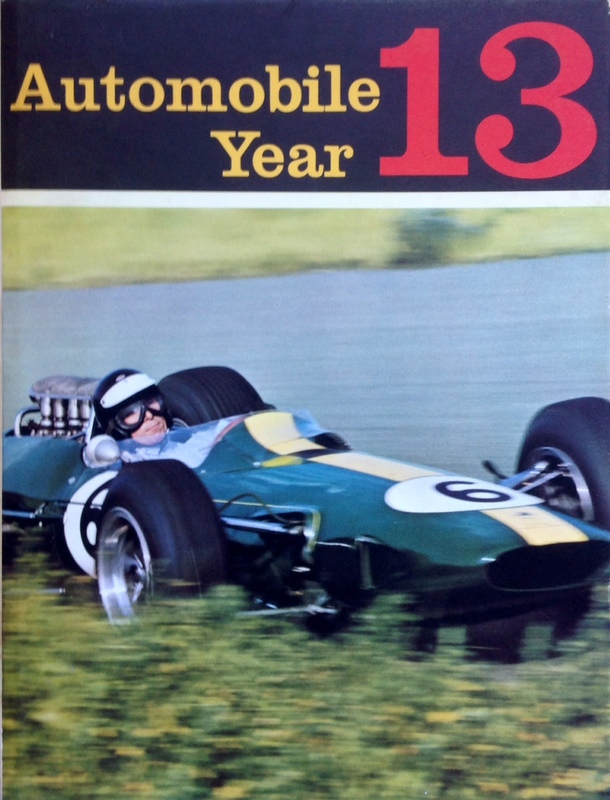 The cover shot of Clark is at the Dutch Grand Prix, Clark won on the 25’s debut there in 1962 and in 1963 and 1964, all in 25’s and in 1965 in the updated Lotus 33 also Climax FWMV V8 powered. 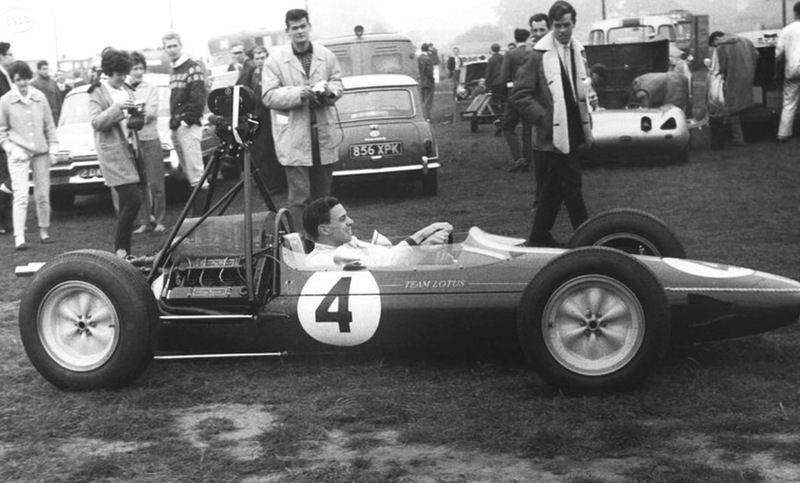 Not only did Jim Clark win the Oulton Park Gold Cup during 1963 but he also recorded some stunning in car footage at the Cheshire circuit in his Lotus 25, such footage very rare at the time. 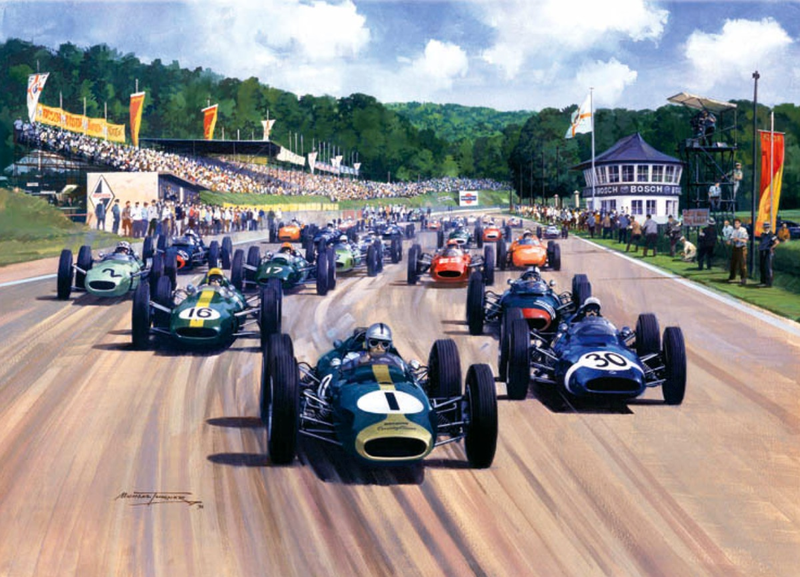 There were four Non-Championship F1 races in the UK alone in 1963, lucky Brits! The footage is amazing on so many levels not the least of which is a drivers eye period view of the circuit; typical track edges, the lack of run off areas and the topography of trees, ditches and the like for the unwary…and this is a circuit devoid of the ‘special obstacles’ of the ultra dangerous road circuits of the day on which Clark raced. The Nurburgring, Spa, Reims, Pescara and Longford here in Australia spring to mind. An ace in every sense of the word. 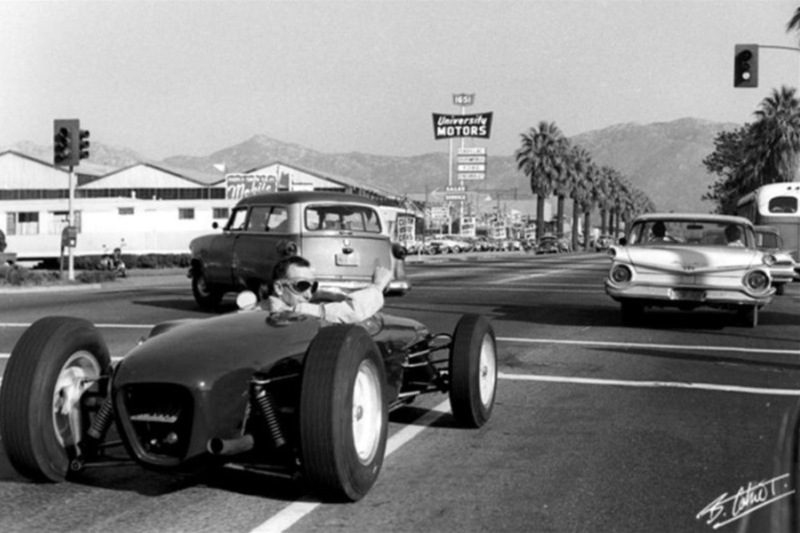 The Texan took a sabbatical from his growing Chaparral Sports Car program program at home to sharpen his skills in Grand Prix racing, fortunately for motor racing innovation he decided to focus more on the engineering aspects of his programs than his driving, having said that he was a driver of absolute world class, perhaps losing his ultimate edge after his big CanAm shunt late in 1968. Ireland, the more experienced driver and a Grand Prix winner qualified an excellent 5th, DNF after an accident, Hall qualified 13th and retired on lap 20 with gearbox failure. 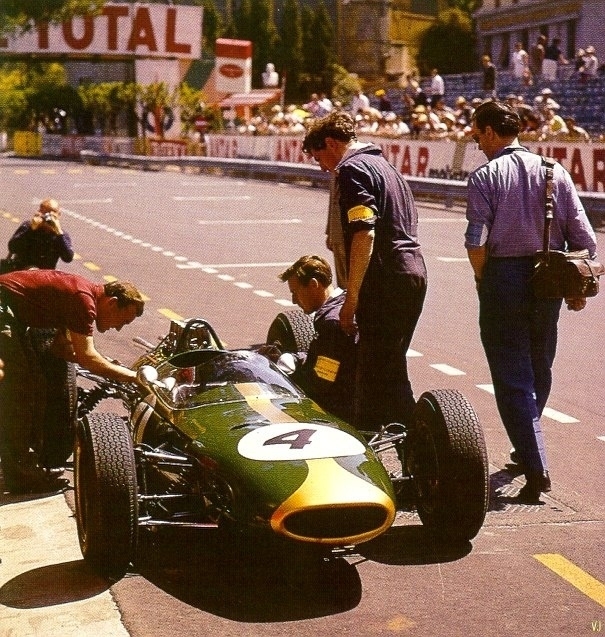 Graham Hill won the first of his 5 Monaco victories after Clarks’ Lotus 25 Climax gearbox locked. 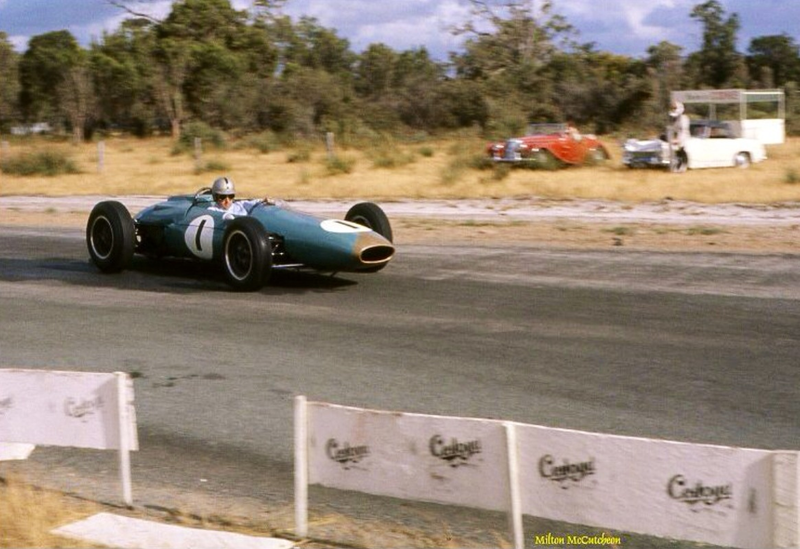 Richie Ginther, Hills’ teammate was second in another BRM P57 with Bruce McLaren 3rd in a Cooper T66 Climax. 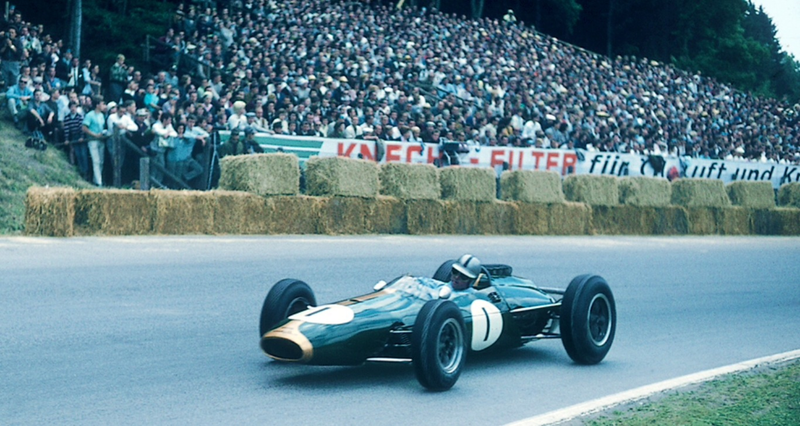 Jim Clark won the drivers championship in the Lotus 25 Climax in 1963, Halls’ best results a 5th and 6th in Germany and Britain respectively. For Ireland, 4ths in both Holland and Italy yielded 6 championship points, 3 in total for Hall. 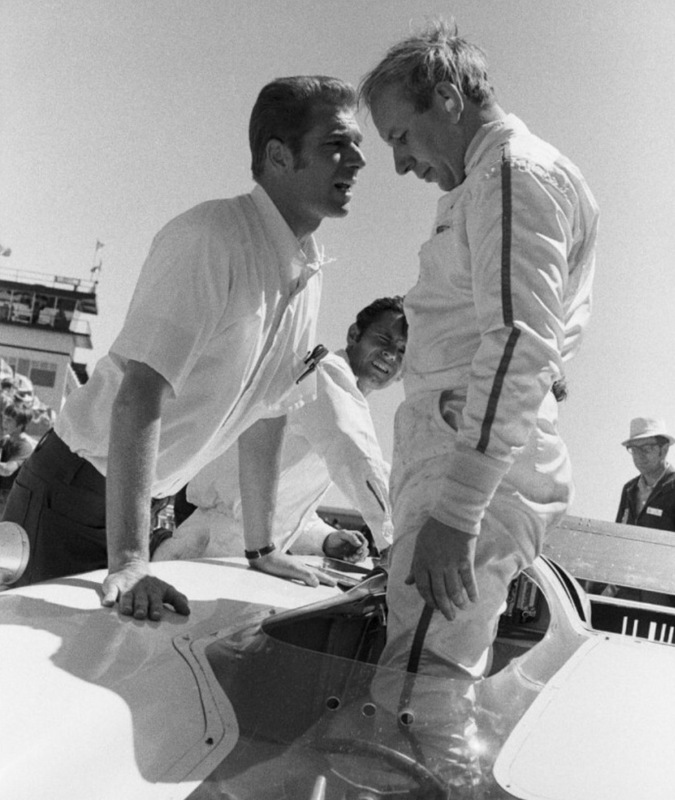 Hall had the ability to continue in Grand Prix racing but committed to the Chaparral programs in the domestic US sports car series which would become the CanAm Championship, and two fabulous years when his innovative cars wowed fans globally in the World Sports Car Championship in 1966 and 1967.